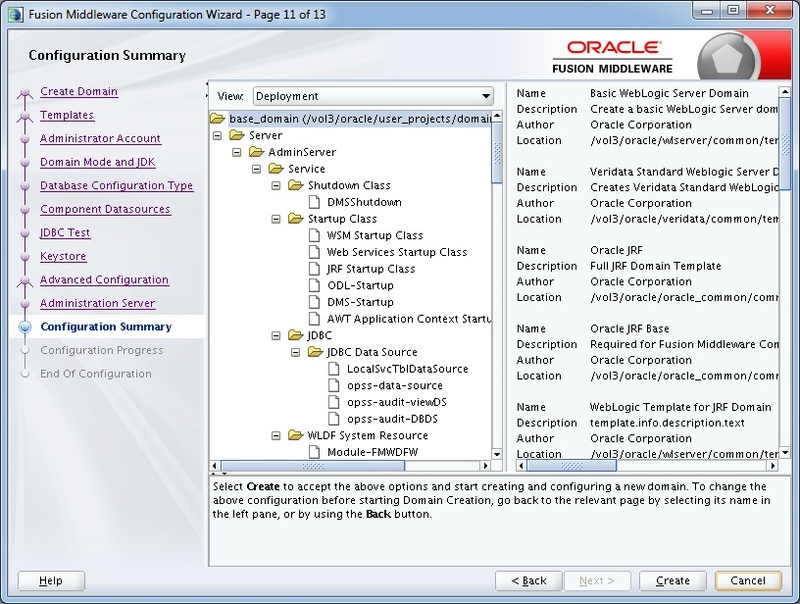 Integrated Replicat was introduced from the Oracle GoldenGate 12c. Similar to Integrated Extract, Integrated Replicat is also tightly coupled with Oracle Database. Reads the OGG Trail files which are pushed by the Data Pump process from the Source. Performs filtering, mapping and conversion of data. Constructs logical change records (LCRs) of the Source DML transactions in committed order. DDL operations are applied directly by Replicat. Attaches the Database Inbound Server to the database by means of a Lightweight Streaming API. 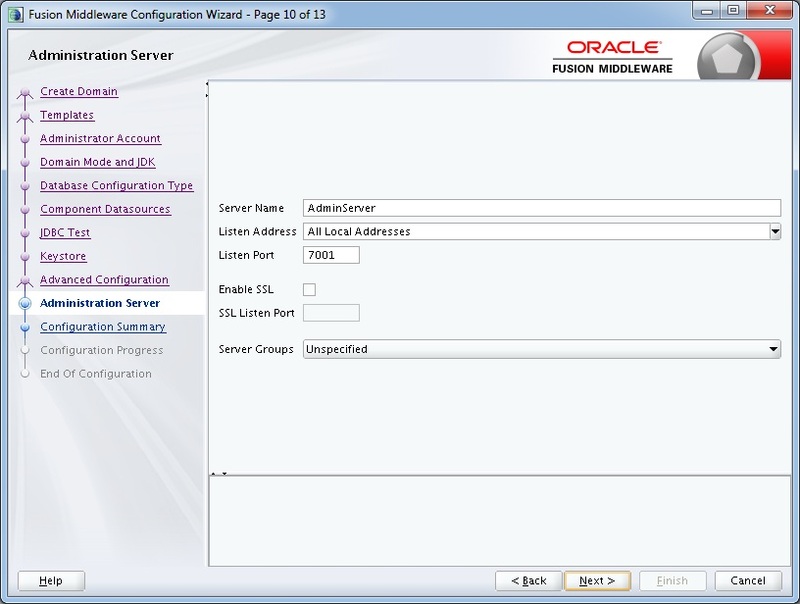 Transfers the constructed LCRs to the Inbound Server which then applies the data to the Target Database. By default, Integrated Replicat applies the transactions Asynchronously. Transactions which are with no dependencies are applied safely executed and committed out of order to achieve fast throughput. Transactions which are dependencies are applied in the same order as on the source. REPLICAT – Reads the trail files and constructs the LCRs and then transfers it to the database using the LLghtweight Streaming API. PREPARER – It computes the dependencies of the transactions and sort them in order. COORDINATOR – Coordinates the transactions and maintains the order between the Applier processes. APPLIER – Applies the transactions to the database. 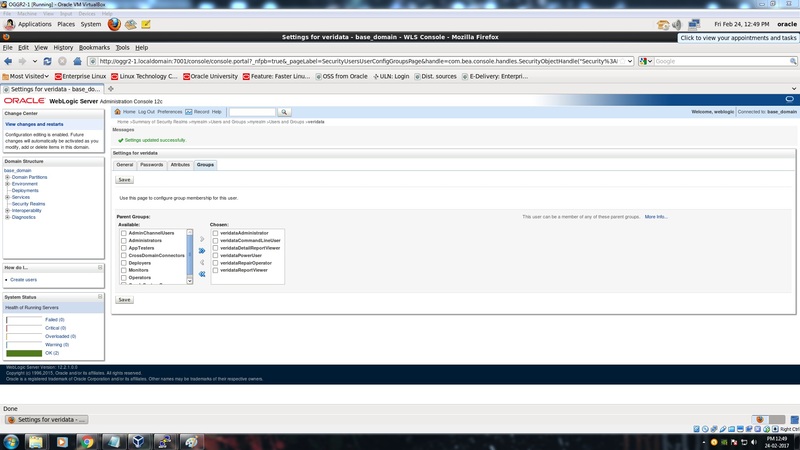 Also, performs the changes for the transactions received from coordinator including CDR and error handling. If the Inbound Server does not support any column data types or any other feature, it automatically applies the transactions to the database in DIRECT APPLY (Classic mode) using the OCI. UDT Note, if the extract uses USENATIVEOBJSUPPORT to capture the UDT, then integrated Replicat will apply it with the inbound server, otherwise it will be handled by Replicat directly. For example, if you have more of DDL operations or Sequence operations, then the Integrated Replicat will switch to Direct Apply to apply these operations and then switch back to Integrated Mode. This degrades the performance of the Integrated Replicat process even though if you set sufficient parallelism and memory. Integrated Replicat supports parallelism and hence it applies the transactions in parallel which gives good performance rate while preserving the integrity and atomicity of the source transaction.. The parallelism can be set using the parameter PARALLELISM and MAX_PARALLELISM. The parallel apply servers increases and decreases automatically according to the workload. There is no need of Range Replicat processes if you have huge tables. Integrated Replicat is very easy to configure and only one IR is enough as it supports parallelism. High-performance apply streaming is enabled for integrated Replicat by means of a lightweight application programming interface (API) between Replicat and the inbound server. Integrated Replicat process coordinates and handles the barrier transactions among multiple server apply processes. When a DDL operations is seen, Integrated Replicat processes it as direct transactions that force a barrier by waiting for server processing to complete before the DDL execution. 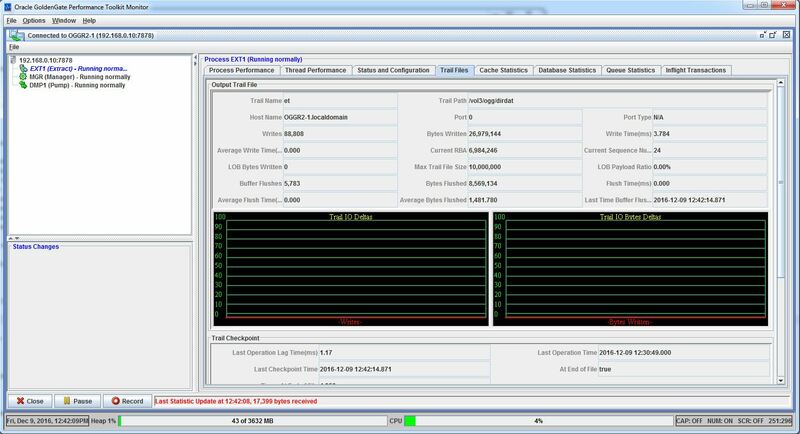 Integrated Replicat process easily handles the Transient duplicate primary key updates. Integrated Replicat can be configured in a single or pluggable databases (Multitenant). The Target database should be Oracle 11.2.0.4 and later. Supplemental Logging should be enabled on the Source. When using this Integrated Replicat, you need to enable trandata at OGG level using ADD SCHEMATRANDATA and not with ADD TRANDATA. Also, you need to use the parameter LOGALLSUPCOLS at the source Extract paraemeter file. Else, you will be hitting “ORA-26688: missing key in LCR”. 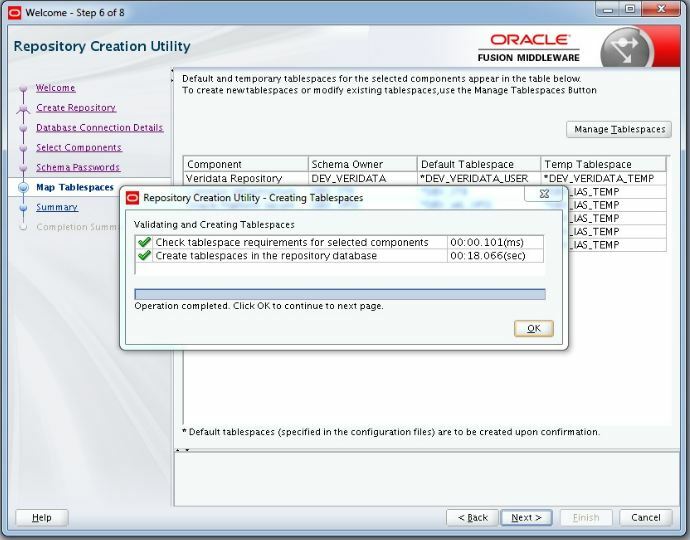 Integrated Replicat process can be used only in Oracle Database. It doesn’t supports Non-Oracle databases. This plays a vital role in the Integrated Feature. You need to configure explicitly the Streams_Pool_Size when you configure the Integrated Mode of Capture. Save the file and check the parameters once. DBOPTIONS INTEGRATEDPARAMS(parallelism 6) – denotes that for this Integrated Replicat, you are specifying a minimum number of parallel apply processes which will be 6. You could see an Integrated Replicat process is created. Now the process is in RUNNING state. 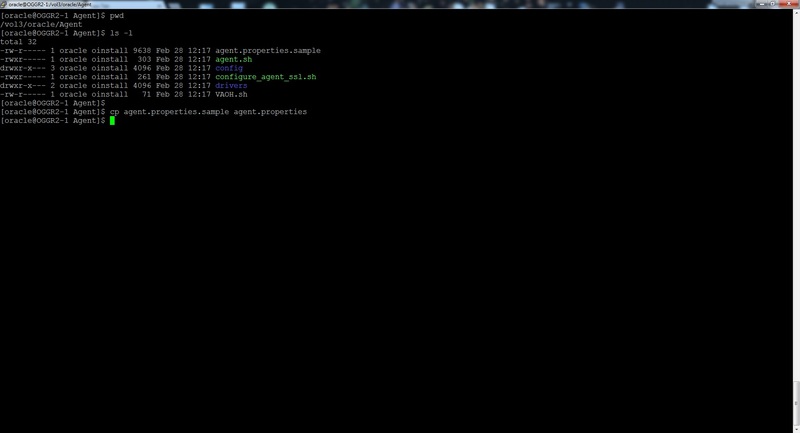 Propagation Receiver (CCA) for GoldenGate replicat and Apply OGG$INREP with pid=34, OS id=3021, objnum=0 started. 2018-09-29 11:42:22  WARNING OGG-02904  Replication of PARTIAL XML containing NCHAR/NVARCHAR/NCLOB data may cause divergence. 2018-09-29 11:42:22  INFO    OGG-03059  Operating system character set identified as UTF-8. 2018-09-29 11:42:22  INFO    OGG-02695  ANSI SQL parameter syntax is used for parameter parsing. 2018-09-29 11:42:22  INFO    OGG-01360  REPLICAT is running in Integrated mode. 2018-09-29 11:42:23  INFO    OGG-06451  Triggers will be suppressed by default. 2018-09-29 11:42:23  INFO    OGG-06604  Database GGDB1 CPU info: CPU Count 1, CPU Core Count 0, CPU Socket Count 0. 2018-09-29 11:42:23  WARNING OGG-05673  CSN-based duplicate suppression is disabled because there is no checkpoint table for this Replicat. 2018-09-29 11:42:23  INFO    OGG-02545  Parameter GROUPTRANSOPS is ignored by Integrated Replicat when parallelism is greater than 1. 2018-09-29 11:42:23  INFO    OGG-02527  Integrated Replicat does not populate a trace table. 2018-09-29 11:42:30  INFO    OGG-02530  Integrated replicat successfully attached to inbound server OGG$INREP. 2018-09-29 11:42:30  INFO    OGG-02243  Opened trail file /ogg/dirdat/lt000000000 at 2018-09-29 11:42:30.874662. 2018-09-29 11:42:30  WARNING OGG-02760  ASSUMETARGETDEFS is ignored because trail file /ogg/dirdat/lt000000000 contains table definitions. 2018-09-29 11:42:30  INFO    OGG-03522  Setting session time zone to source database time zone 'GMT'. 2018-09-29 11:42:30  INFO    OGG-02232  Switching to next trail file /ogg/dirdat/lt000000001 at 2018-09-29 11:42:30.874662 due to EOF. with current RBA 1,401. 2018-09-29 11:42:30  INFO    OGG-03506  The source database character set, as determined from the trail file, is we8mswin1252. Processed extract process graceful restart record at seq 1, rba 1401. One of the difference between Classic Replicat and Integrated Replicat is, like Classic Replicat process, Integrated Replicat does not have a Checkpoint Table. In the above output, you can clearly see there is no checkpoint table details. So, where does the Integrated Replicat stores it’s checkpoint information apart from the checkpoint file? 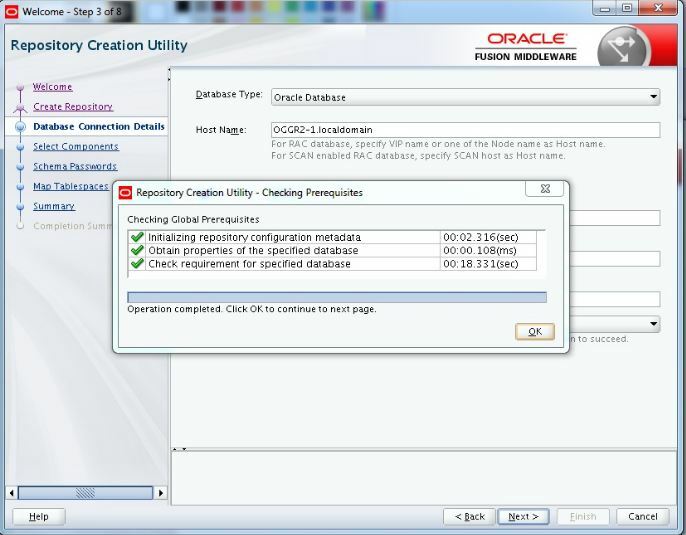 Integrated Replicat is integrated with database, which means Oracle database knows about it. 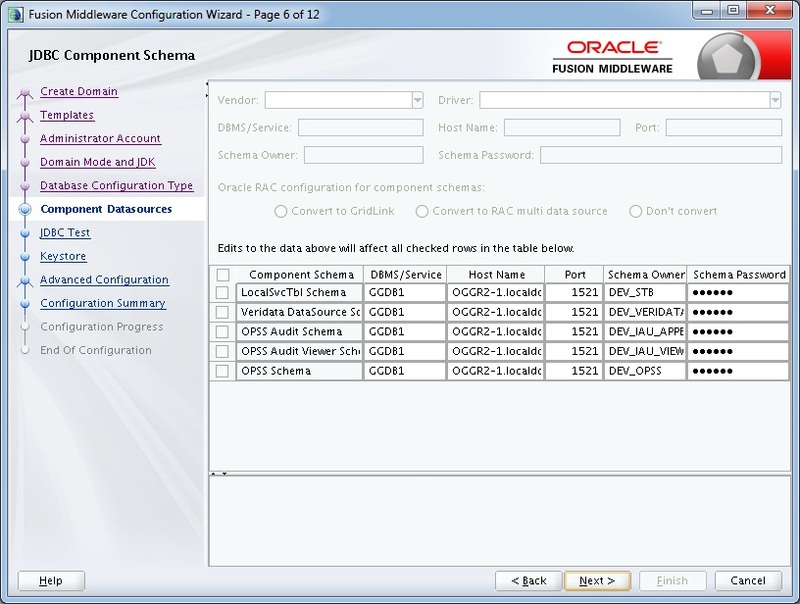 There are several Oracle GoldenGate views defined in the database data dictionary which can be queried to display information about Oracle GoldenGate queues and processes. Hope this post given you a clear view about the Integrated Replicat process. Will explain about the Coordinated Replicat in my next post. 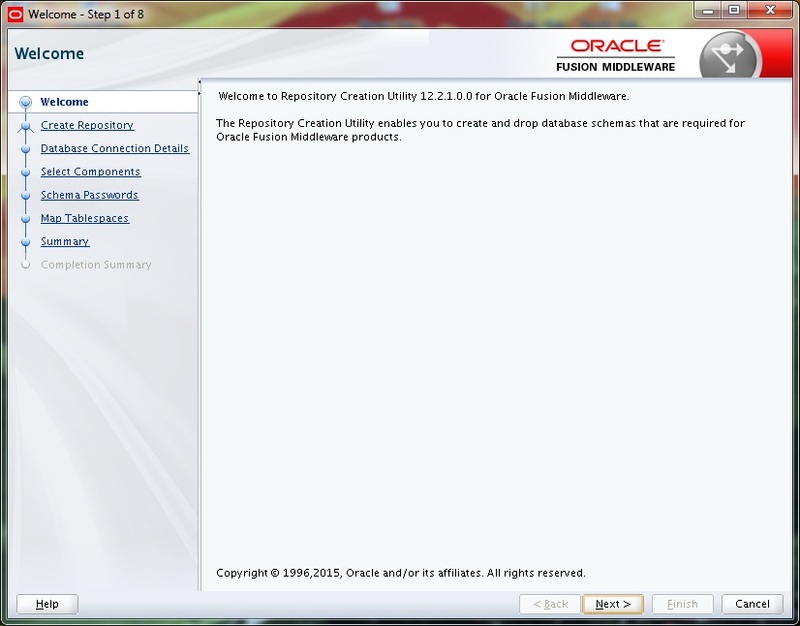 Oracle has introduced Integrated Extract or Integrated Capture from OGG 11.2.x. They bind this capture with the Oracle RDBMS and hence it is called Integrated Capture. The Classic Capture is decoupled with the Oracle Database where in the Integrated Capture is tightly coupled with the Oracle Database. Instead of the Extract process directly capturing the transactions from the database, in here, the Logmining Server plays the role. A LogMining server will be attached with this Integrated Capture process in the database to mine the redo or archive logs and captures the transactions. This process mainly works on the streams concepts. So, Integrated Capture has the below sub-processes. Below is the architecture diagram of LogMining Server. Once the Capture passes the LCRs to the Extract, the Extract process performs the mappings and transformations of the transactions according to the parameters which we had mentioned in the Extract process parameter file and finally writes them to the trail files called Local Trail Files. 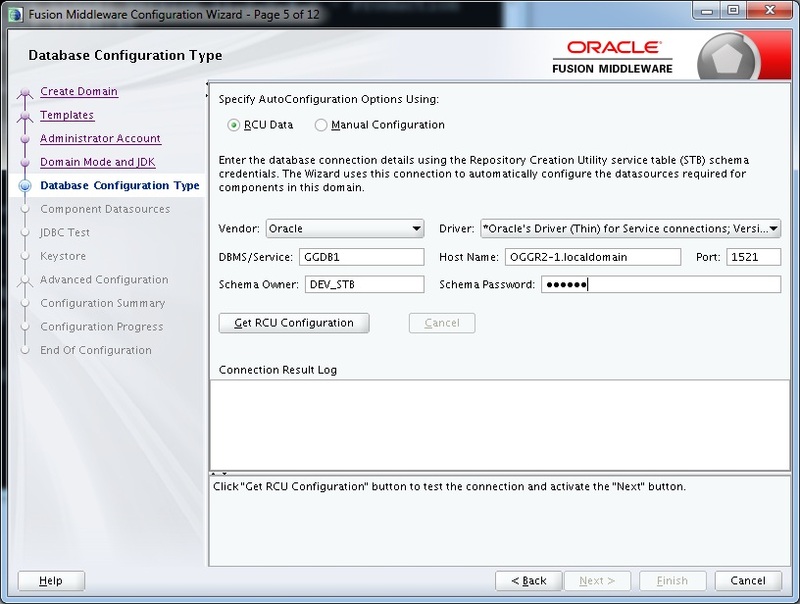 No additional setup is required when configured with Oracle RAC, ASM or TDE. Integrated Capture uses the Logmining Server. This gives an additional advantage for the Integrated Capture to switch between different copies of redo and archive logs copies when there is a missing of log file due to disk corruption. Efficiently handles point in time recovery and RAC integration. Whenever there is a inter-node failure, Integrated handles efficiently which is not in the case of Classic Capture. It has an integrated log management which makes the RMAN to retain the archive logs automatically which are needed by the Integrated Extract process. We all know that Oracle has introduced Multitenant Architecture (Container Database concepts) from Oracle 12c. Integrated Extract is the only mode which has the ability or supports capturing data from a Multitenant container database. Single Integrated Capture is more than enough to mine from multiple pluggable databases (PDBs). For an Integrated Extract, no additional scripts are needed to be executed and this is called Native-DDL. For this, source database should be 11.2.0.4 with compatibility set to 11.2.0.4 or higher. If the source database is earlier than version 11.2.0.4 then DDL trigger must be used. Tightly coupled with Oracle Database. Can be used only with Oracle Database. Supports parallelism. Multiple processes captures the data in parallel. No requirement of setting ASMUSER or DBLOGREADER since the Logmining Server mines the redo or archive logs. Whenever there is a node failure or addition of node in a RAC, no manual intervention required. It takes care automatically. Works based on the STREAMS concepts. Can be configured only when your OGG is 11.2.0.x or higher. The database should be in ArchiveLog Mode when Oracle GoldenGate configured. 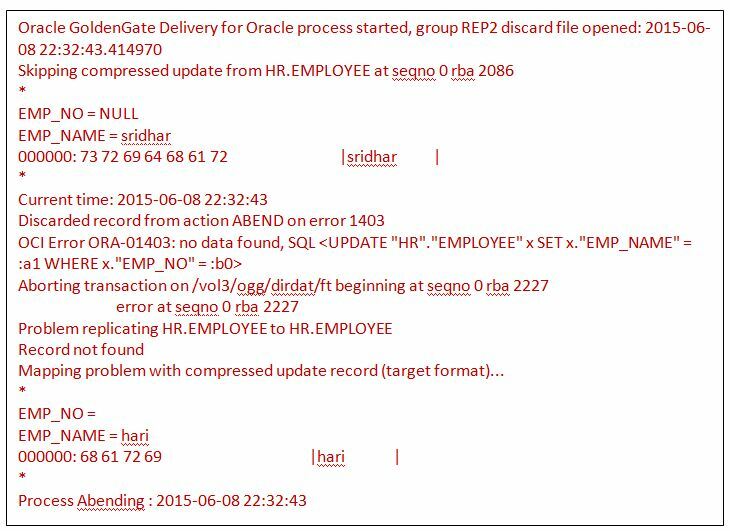 Oracle GoldenGate captures the changes either from Redo Logs or Archive Logs. Please change the database to the ArchiveLog Mode. Now, let’s go to the configuration of Integrated Extract process. TRANLOGOPTIONS [INTEGRATEDPARAMS (parameter[, …])] – This is an optional parameter. 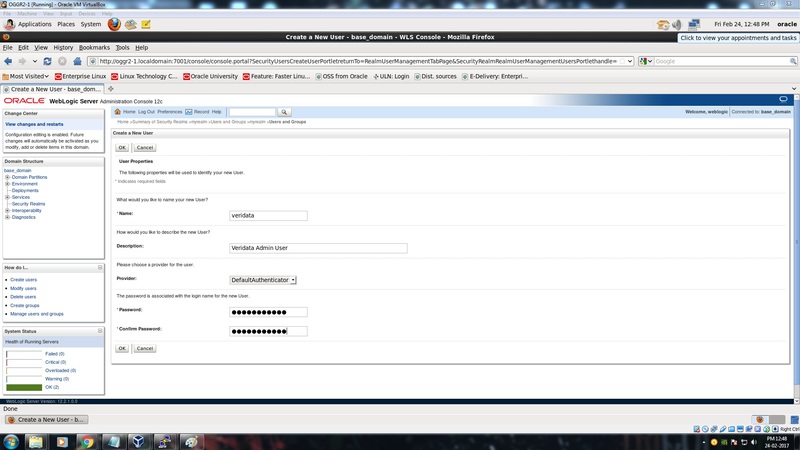 It passes the parameters set using this option to the oracle database Logmining Server. As per the pre-requisite, I have already set the streams_pool_size. And also, all the other pre-requisites are taken care. 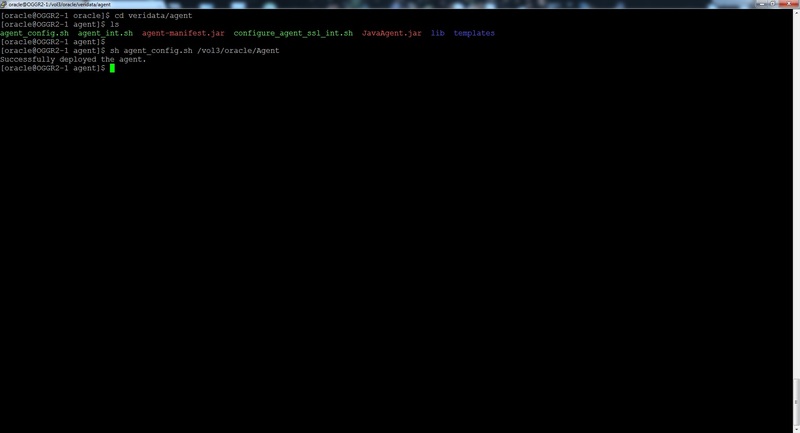 Register the extract process to the database with the below command. 2018-09-24 11:53:24 INFO OGG-02003 Extract INEXT successfully registered with database at SCN 4043243. 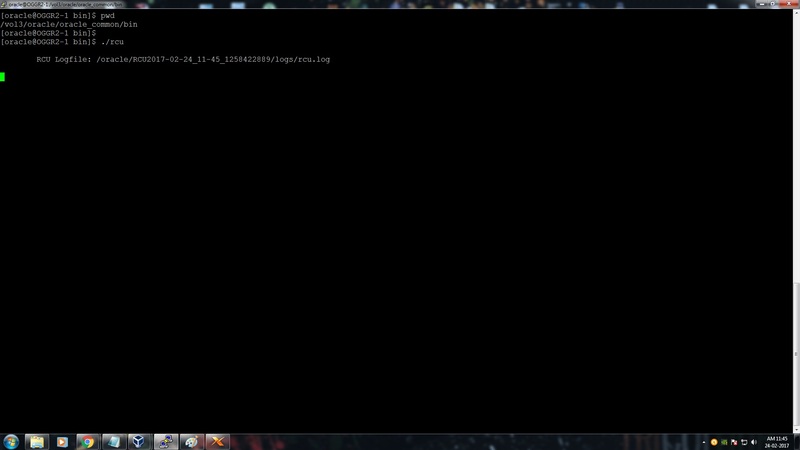 This will create a Logminer Build and the capture begins from the time that REGISTER EXTRACT is issued. A Capture will be created in the database with the name OGG$CAP_INEXT. The format for this is “OGG$CAP_EXTRACT-NAME”. Below are the entries in the alert log file during the time of register. GoldenGate CAPTURE CP01 for OGG$CAP_INEXT with pid=43, OS id=3064 is in combined capture and apply mode. Capture OGG$CAP_INEXT is handling 1 applies. -- capture is running in apply-state checkpoint mode. 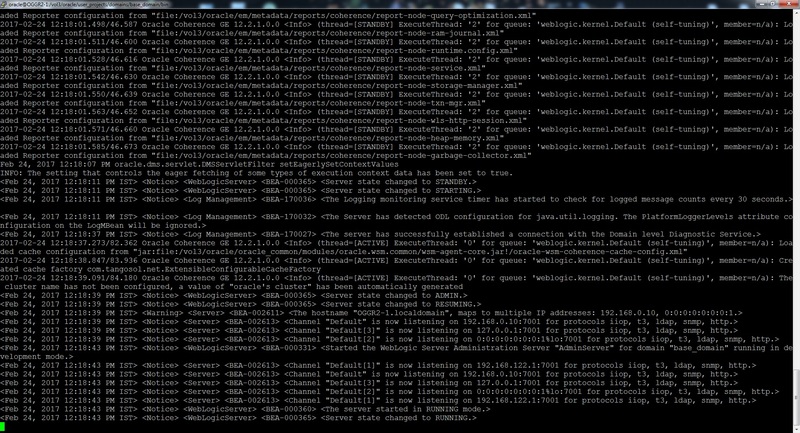 LOGMINER: DDL CKPT is on. Now, add the Integrated Extract process. The command for adding Classic and Integrated extract is same, the only difference is the keyword “INTEGRATED”. Add the Local trail file to the Integrated Extract process. You could see an Integrated Extract process is created. 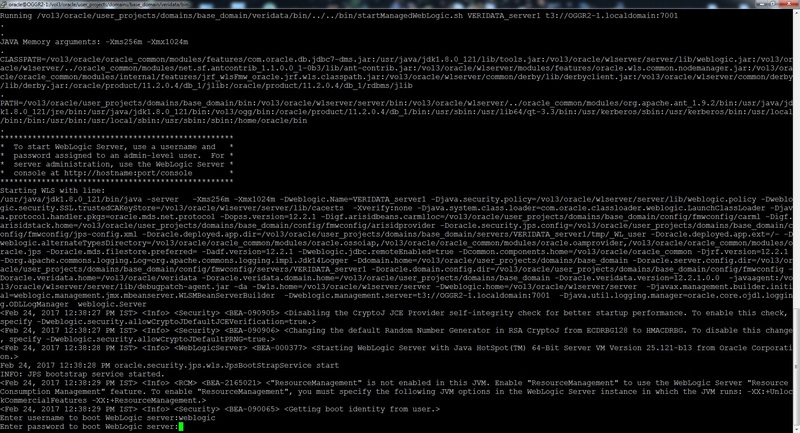 Starting persistent Logminer Session with sid = 3 for GoldenGate Capture OGG$CAP_INEXT (OS id=4100). OGG Capture client successfully attached to GoldenGate Capture OGG$CAP_INEXT to receive uncommitted changes with pid=43 OS id=4100. How to check if the extract process created or running is a Classic or Integrated? It is very simple. 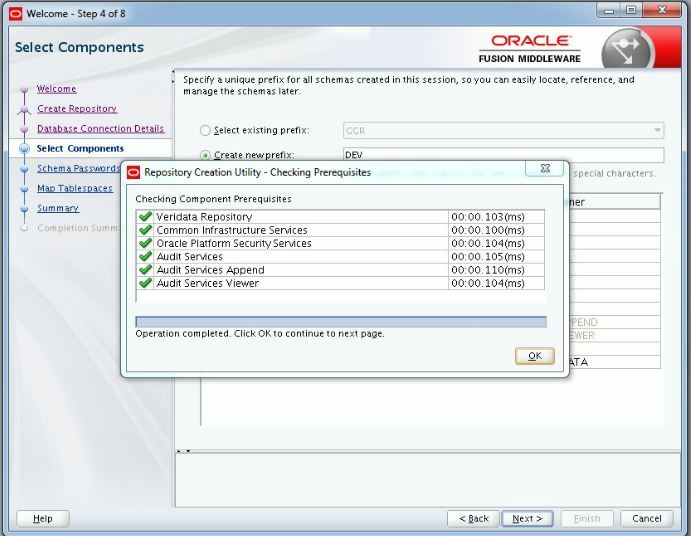 We can see the ‘Log Read Checkpoint’ as “Oracle Integrated Redo Logs”. For a Classic Capture it will be as “Oracle Redo Logs”. Below is the detailed information of the Integrated Capture. 2018-09-29 11:16:38  INFO    OGG-03059  Operating system character set identified as UTF-8. 2018-09-29 11:16:38  INFO    OGG-02695  ANSI SQL parameter syntax is used for parameter parsing. 2018-09-29 11:16:40  INFO    OGG-01360  EXTRACT is running in Integrated mode. 2018-09-29 11:16:45  INFO    OGG-03522  Setting session time zone to source database time zone 'GMT'. 2018-09-29 11:16:45  WARNING OGG-04033   LOGALLSUPCOLS has set the NOCOMPRESSDELETES and GETUPDATEBEFORES parameters on. 2018-09-29 11:16:45  INFO    OGG-01635  BOUNDED RECOVERY: reset to initial or altered checkpoint. 2018-09-29 11:16:46  INFO    OGG-01851  filecaching started: thread ID: 139768570574608. 2018-09-29 11:16:46  INFO    OGG-03522  Setting session time zone to source database time zone 'GMT'. 2018-09-29 11:16:51  INFO    OGG-06604  Database GGDB1 CPU info: CPU Count 1, CPU Core Count 0, CPU Socket Count 0. 2018-09-29 11:17:02  INFO    OGG-02248  Logmining server DDL filtering enabled. 2018-09-29 11:17:04  INFO    OGG-02068  Integrated capture successfully attached to logmining server OGG$CAP_INEXT using OGGCapture API. 2018-09-29 11:17:04  INFO    OGG-02089  Source redo compatibility version is: 11.2.0.4.0. 2018-09-29 11:17:04  INFO    OGG-02086  Integrated Dictionary will be used. 2018-09-29 11:17:08  WARNING OGG-02901  Replication of UDT and ANYDATA from redo logs is not supported with the Oracle compatible parameter setting. Using fetch instead. 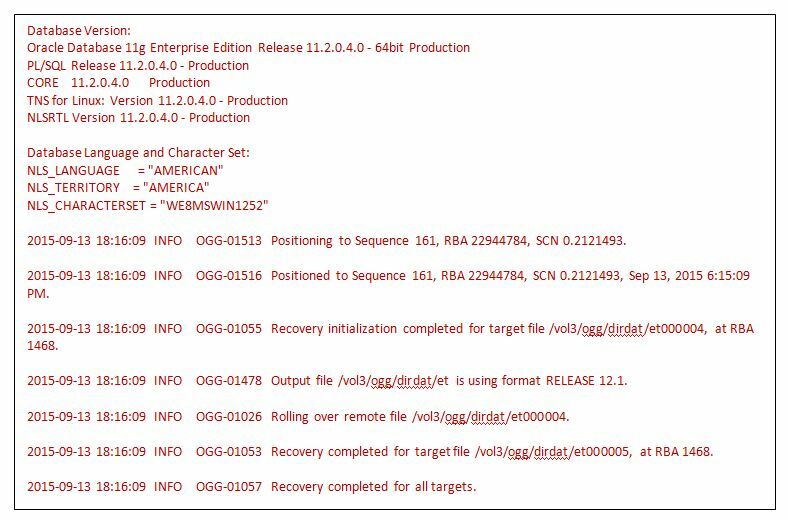 2018-09-29 11:17:08  INFO    OGG-01055  Recovery initialization completed for target file /ogg/dirdat/lt000000000, at RBA 1401. 2018-09-29 11:17:08  INFO    OGG-01478  Output file /ogg/dirdat/lt is using format RELEASE 12.3. 2018-09-29 11:17:09  INFO    OGG-01026  Rolling over remote file /ogg/dirdat/lt000000000. 2018-09-29 11:17:09  INFO    OGG-01053  Recovery completed for target file /ogg/dirdat/lt000000001, at RBA 1461. 2018-09-29 11:17:09  INFO    OGG-01057  Recovery completed for all targets. 2018-09-29 11:17:10  INFO    OGG-03522  Setting session time zone to source database time zone 'GMT'. Hope you enjoyed the post. Will see about the Integrated Replicat process in my next post. Oracle GoldenGate is an Heterogeneous replication tool. 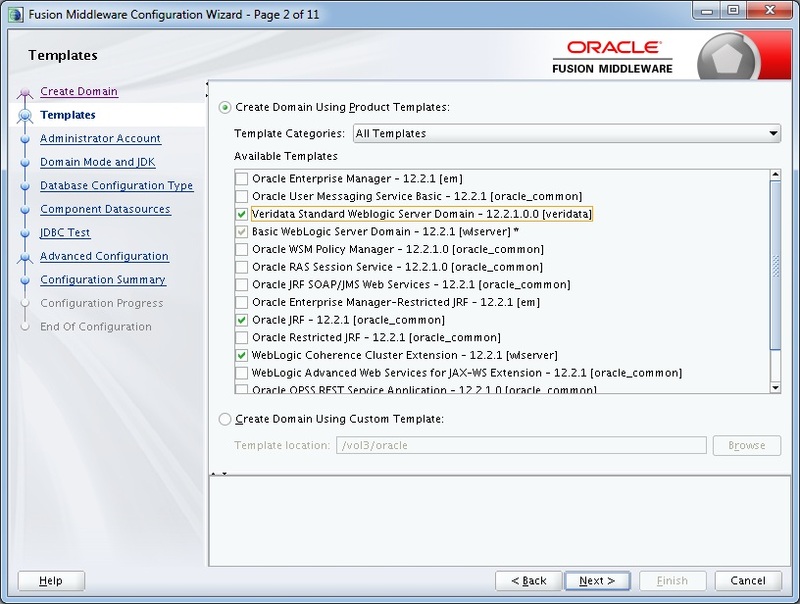 It is very easy to install and configure Oracle GoldenGate. The real challenge comes when the Processes gets ABEND. Sometimes it is easy to detect problems, but sometimes we will be really not knowing how to proceed or approach to solve or troubleshoot the issue. 1. Levels of Failure in Oracle GoldenGate. 2. The approach to Troubleshoot Oracle GoldenGate. 3. How to identify the issue. 4. What are the files to be looked for Troubleshooting Oracle GoldenGate. 5. Tools to Monitor and Troubleshoot Oracle GoldenGate. There should be sufficient storage space available for the Oracle GoldenGate to keep the Trail files. Even at Oracle Database level, there should be sufficient space to retain the Archive Log files and also space for tablespaces. Proper privileges should be given to the file system so that, Oracle GoldenGate Processes creates the trail files in the location. Mistakenly Delete the GoldenGate Admin User at Database level. Manually Performing Operations like Insert, Delete and Update at Target Side. Manually deleting / removing the Trail Files either from Source server or Target server. Forcefully Stopping any Oracle GoldenGate Processes like Manager, Extract, Pump, Collector or Replicat. Killing the Oracle GoldenGate Processes at OS level. Performing an ETROLLOVER at Extract / Pump / Replicat Processes. So we have seen the different levels of Failures in Oracle GoldenGate. How to proceed if you face these failures in your day to day life. What is the approach to identify the issue and solve it. The below are the steps on how to approach to the problem. If the environment is a known one, then you can skip some of the steps. Is it a Cluster, Active / Passive? 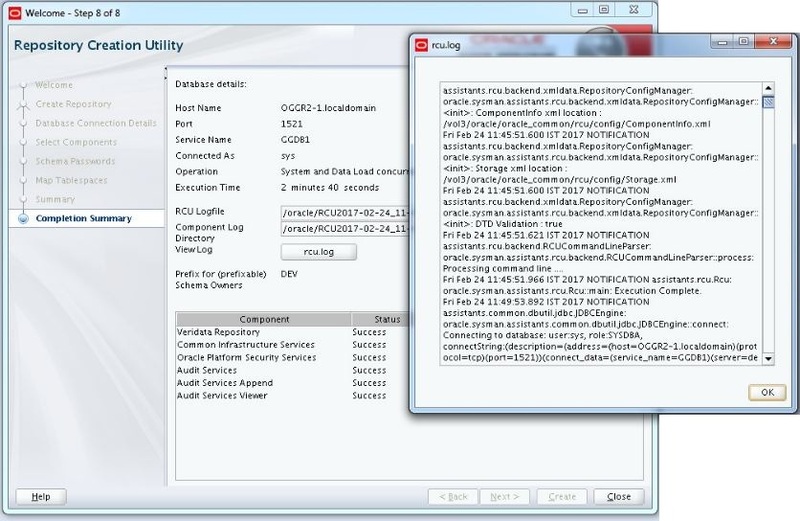 Components used in Oracle GoldenGate like Extract, Pump, Replicat processes and Trails files. After seeing all the prerequisites like Environment study etc, check if the Processes are up and running. INFO ALL is the command to check the status of the processes. There are different status of process. The Process has started and running normally. The Process has stopped either normally (Controlled Manner) or due to an error. The Process has been stopped in an uncontrolled manner. Abnormal End is known was ABEND. From the above status of the Processes status, RUNNING, STOPPED and ABENDED are common. But what is STARTING? 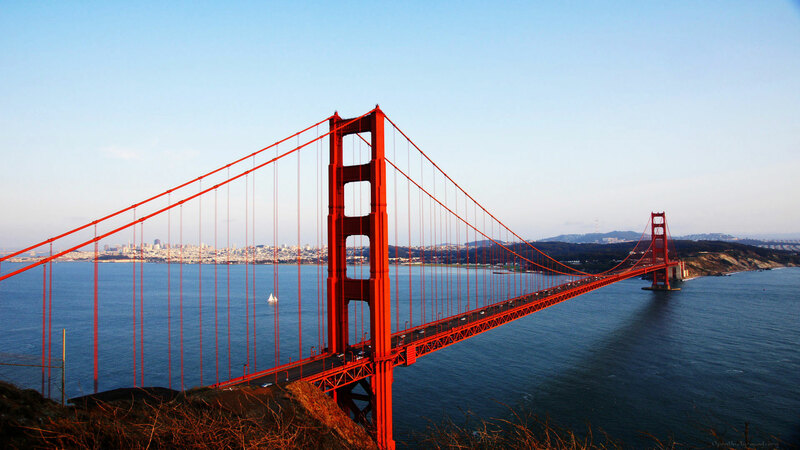 What actually happens when the Oracle GoldenGate process is in this state? Whenever you start an Abended Extract Process, it will take some time to get started. It is because, the process is getting recovered from its last Abend point. To recover it’s processing state, the Extract Process search back to its Online Redo Log file or Archive log file, to find the first log record for the opened transactions when it is crashed. The more back the Extract Process goes in search, the more it takes to recover itself and get started. So, It takes more time depending upon how long back the Open transaction is in the Redo Logs or Archive Logs. There are many files which needs to be checked whenever you face issue in Oracle GoldenGate. 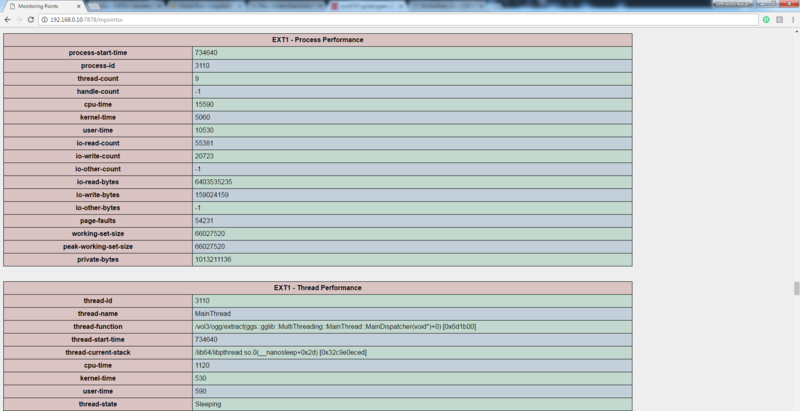 Out of which Oracle GoldenGate logs the activity in three files. The first three are the very basic, also can be called as major files which are to be looked in to whenever there are problems in the Oracle GoldenGate. Below, is the explanation for these three files. What is Error Log file – ggserr.log? 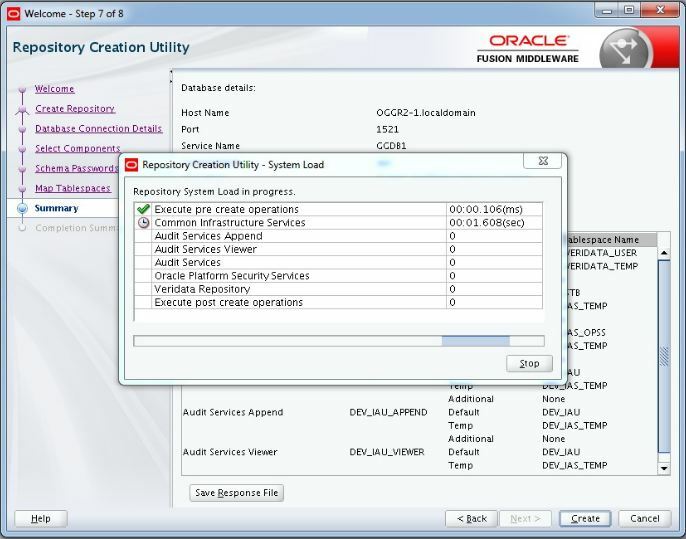 	Start and Stop of the Oracle GoldenGate Processes. 	Processing Information like Bounded Recovery operations. 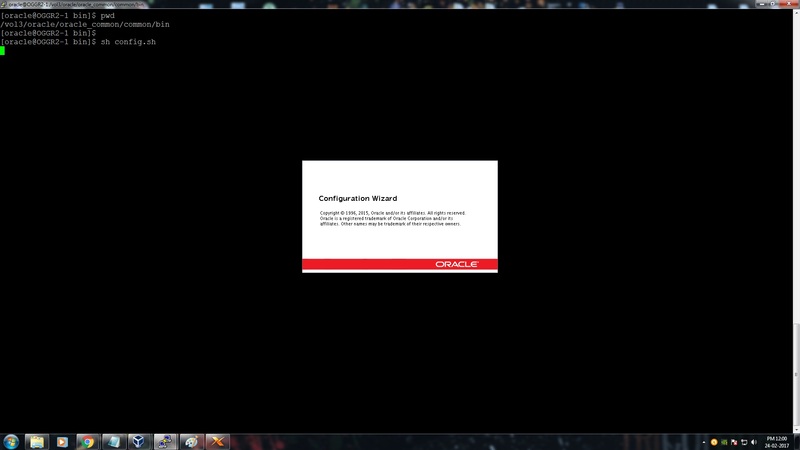 	Informational messages like normal operations happening in Oracle GoldenGate. 	WARNING Messages like Long Running Transactions. 	Commands executed in GGSCI Prompt. 	What is the Error? 	When the Error occurred? 	How Frequently it occurred? 	What were the operations performed before the Error occurred? 	How Frequently the error occurred? A Report file is a process specific log file. Each process has its own report file created and this file is created during the instantiation of the process. This file is stored in the directory /dirrpt and the format of this file is .rpt. This file is automatically renamed on the next instantiation of the process. If a process starts all the log entries for that process are written to its respective report file. Let’s consider a process called EXT and the report file during instantiation of this process is called as EXT.rpt. If this process is stopped and started again, existing file EXT.rpt will be automatically renamed to EXT0.rpt and a new file will be generated with the name EXT.rpt and this occurs recursively till the value of the sequence reaches 9. If the last report file name for the process EXT is created as EXT9, now during the new file generation, the last file EXT9.rpt will be removed and EXT8.rpt will be renamed as EXT9.rpt. So, the report file with the lower sequence value will be the latest and younger one when compared with older sequence valued report file. 	All DDL Operations performed. 	Any commands which are performed on that particular process. The below is the example of the Report file which I had split it to many parts so that you will get an clear understanding. 3. Database Provider, Version, Release and Trail File information. 4. Mapping of tables and Informational messages with respect to the Process. 5. Crash dump and Error messages of the respective process. 	In which Trail File the Process gets Abend. 	Whether the Trail File is moving forward? 	Whether the process is getting failed with Same Trail File? 	What operations has been performed before the process abend? 	Whether any errors in the Parameter configuration? 	Whether the MAP statements has the correct table names? 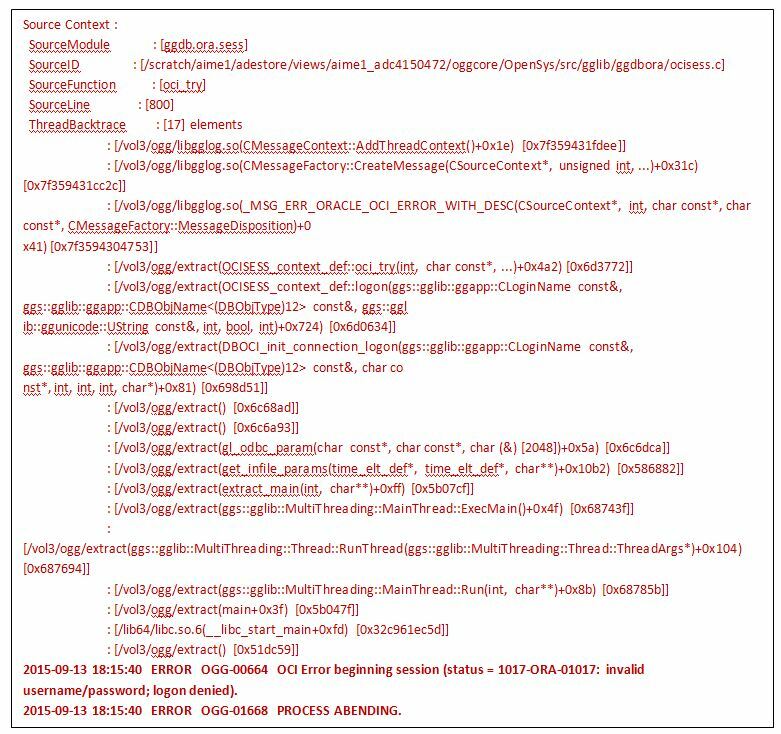 A log file for logging failed operations of the Oracle GoldenGate processes. It is mainly used for Data errors. 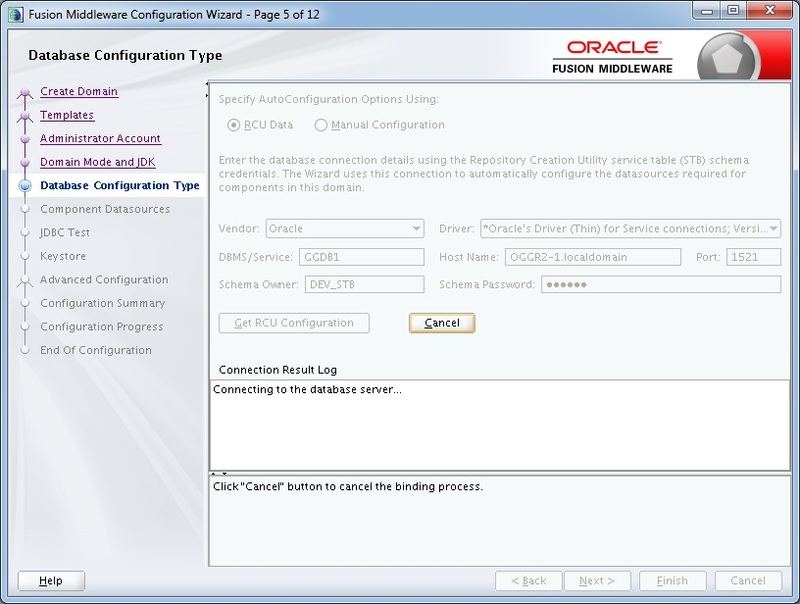 In Oracle GoldenGate 11g, this file is not created by default. We have to mention a keyword DISCARDFILE to enable discard file logging. 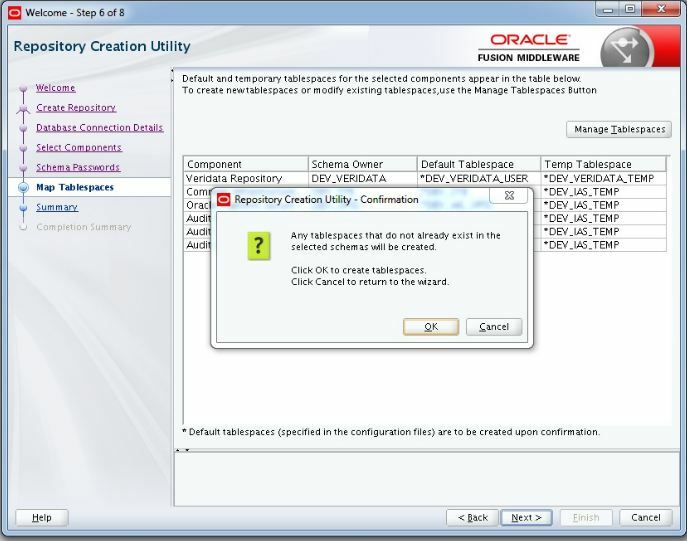 But from Oracle GoldenGate 12c, this file is generated by default during the instantiation of the process. The relative or fully qualified name of the discard file, including the actual file name. Adds new content to existing content if the file already exists. Purges the file before writing new content. File size in Bytes. For file size in bytes the valid range is from 1 to 2147483646. The default is 50000000. For file size in megabytes the valid range is from 1 to 2147. The default size is 50MB. If the specified size is exceeded, the process Abends. When using this parameter, there will be no discard file creation. It prevents generating the Discard file. The Discard File is mainly used in the Target Side. Each and Every Replicat Process should have its own Discard File. This is a mandatory one. 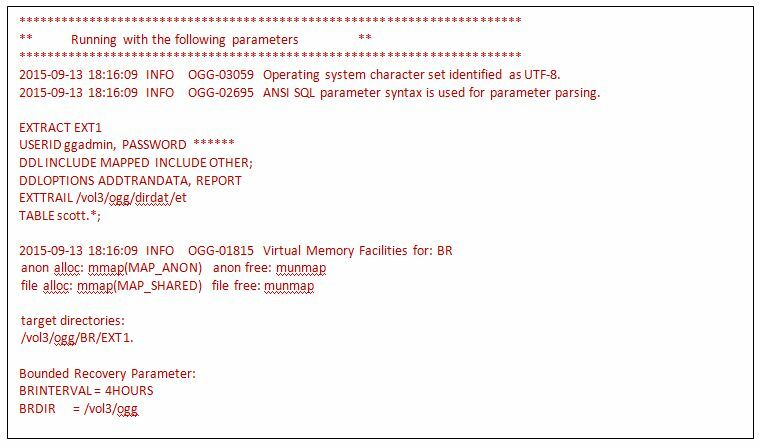 So, we have seen about the three basic and important file where Oracle GoldenGate Processes logs the information. 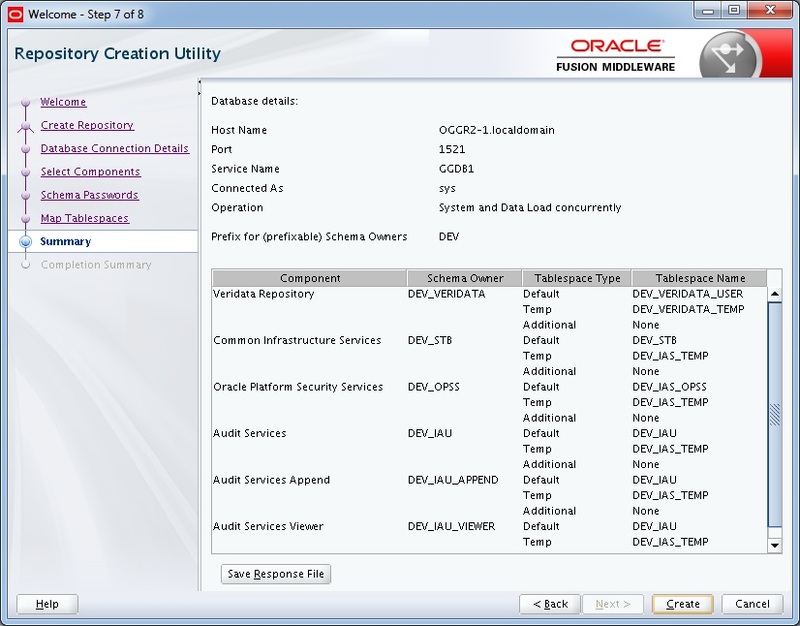 There is also a tool which is used to troubleshoot Oracle GoldenGate during Data corruption or trail file corruption. This is mainly used when Data error occurs in the Oracle GoldenGate. 	Operation type and Time when the Record written. 	Image type, whether it is a Before Image or After Image. 	Column information with data and sequence information. 	Record length, Record data in ASCII format. Some of the Logdump commands with the description are below., To get in to the logdump prompt, just run the logdump program from the Oracle GoldenGate Home directory. Logdump 1> GHDR ON – To view the Record Header. Logdump 2> DETAIL ON – To view the column information. 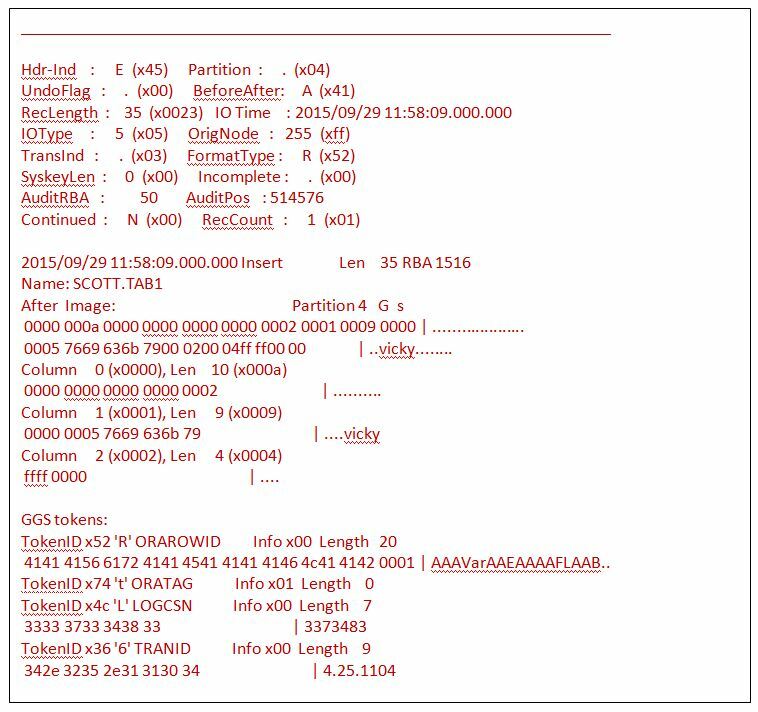 Logdump 3> DETAIL DATA – To view the Hex and ASCII values of the Column. Logdump 4> USERTOKEN ON – User defined information specified in the Table of Map statements. These information are stored in the Trail file. Logdump 5> RECLEN length – Manually control the length of the record. Logdump 6> OPEN file_name – To open a Trail file. Logdump 7> NEXT – To move to the next File record. In short, you can use the letter N.
Logdump 8> POS rba – To position to a particular RBA. Logdump 9> POS FIRST – To go to the position of the first record in the file. Logdump 10> POS 0 – This is the alternate command for the POS FIRST. Either of this can be used. 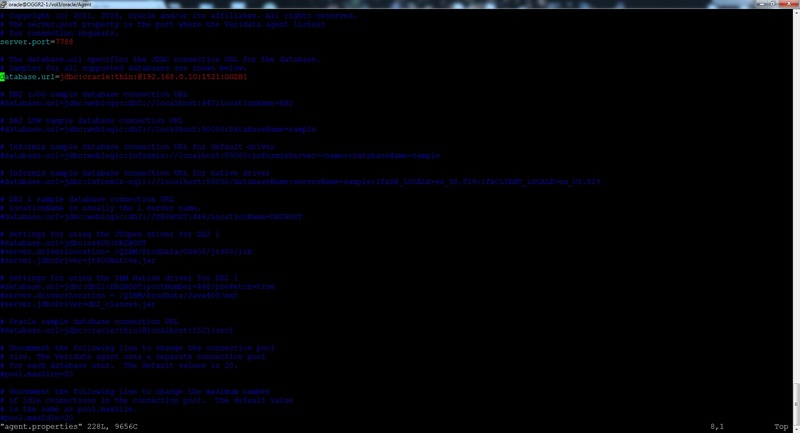 Logdump 11> SCANFORENDTRANS – To go to the end of the transaction. Logdump 12> HELP – To get the online help. Logdump 13> EXIT – To exit from the Logdump prompt. You can also use QUIT alternatively. Hope you got a clear view on how to approach to a Oracle GoldenGate problem and also find who stopped the Oracle GoldenGate process and the reason behind it. In this article, we will see how to make the Extract process to write it’s file in the above formats. You can format output that is compatible with most database load utilities and other programs that require ASCII input. This parameter is required by the file-to-database-utility initial load method. A FORMATASCII statement affects all extract files or trails that are listed after it in the parameter file. The relative order of the statements in the parameter file is important. If listed after a file or trail specification, FORMATASCII will not take effect. All the trail files (extract files) will be affected if they are mentioned or listed after the parameter FORMATASCII in the parameter file. if the data will be processed by the Replicat process. Replicat expects the default canonical format. if FORMATSQL or FORMATXML is being used. if the data contains LOBs. if Extract is connected to a multi-byte DB2 subsystem. 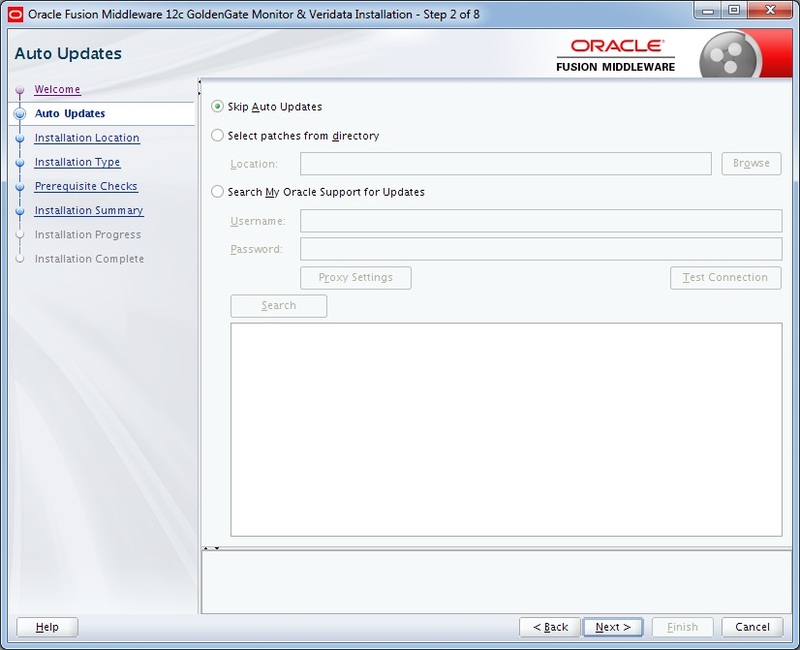 if Oracle GoldenGate DDL support is active. Let us start the extract now. 1. 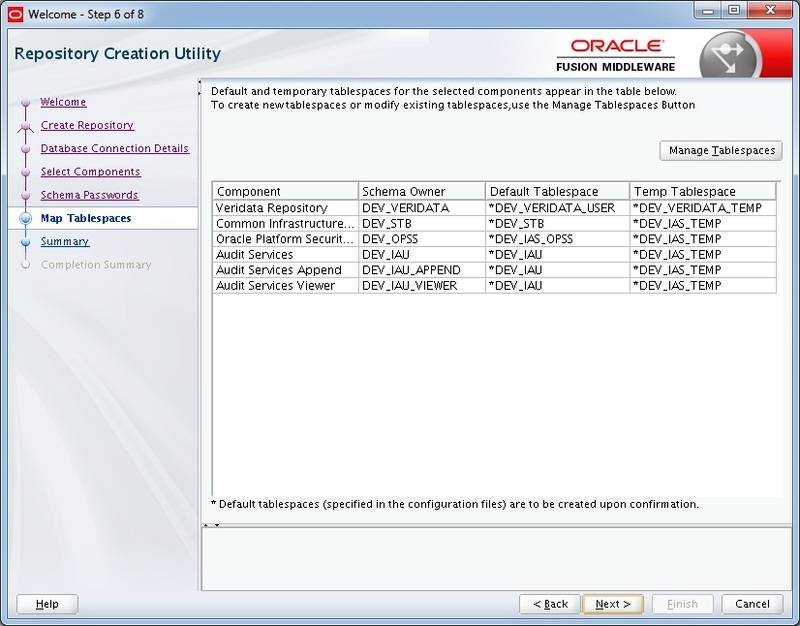 Database object names, such as table and column names, and CHAR and VARCHAR data are written in the default character set of the operating system. 2. Without specifying any parameter options, FORMATASCII generates records in the following format. The operation-type indicator: I, D, U, V (insert, delete, update, compressed update). A before or after image indicator: B or A. The table name in the character set of the operating system. A column name, column value, column name, column value, and so forth. A newline character (starts a new line). The begin transaction indicator, B. The timestamp at which the transaction committed. The sequence number of the transaction log in which the commit was found. The relative byte address (RBA) of the commit record within the transaction log. There are lot more options which can used with the FORMATASCII parameter. 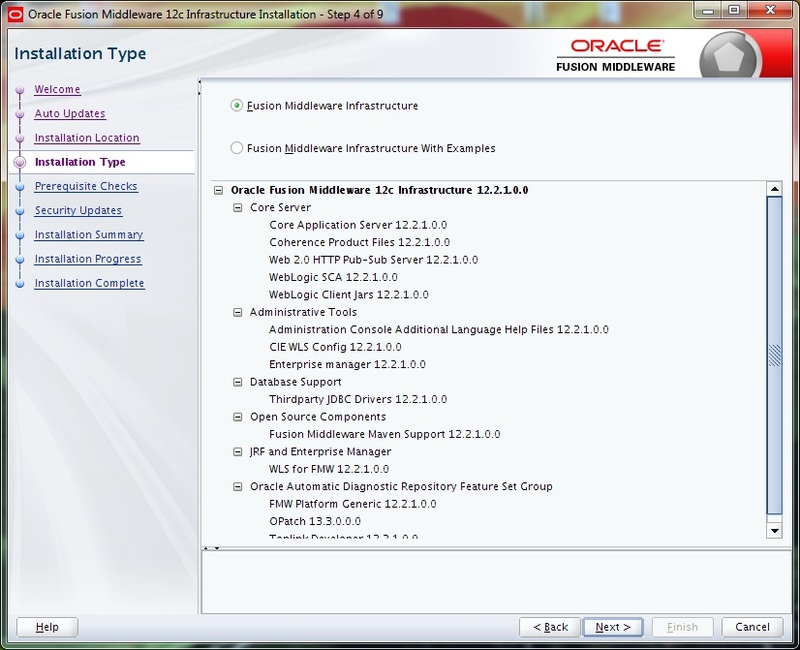 For complete detail of the options used please check the “Oracle GoldenGate Reference Guide”. If you want the output of the Extract file in an SQL format then use the below parameter in the Extract process parameter file. if FORMATASCII or FORMATXML is being used. in pass-through mode in a data pump because there is no table metadata available to generate trail output in the specified form. 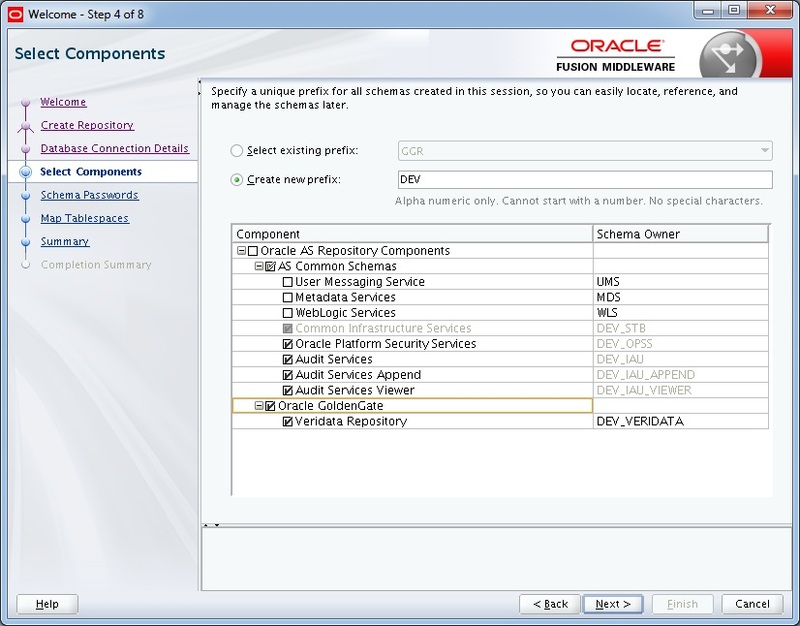 Database object names, such as table and column names, and CHAR and VARCHAR data are written in the default character set of the operating system. The timestamp at which the transaction was committed. Omits column names for insert operations, because inserts contain all column names. This option conserves file size. Converts UPDATE operations that affect columns in the target primary key to a DELETE followed by an INSERT. By default (without NOPKUPDATES), the output is a standard UPDATE operation. Formats records for compatibility with Oracle databases by converting date and time columns to a format accepted by SQL*Plus. 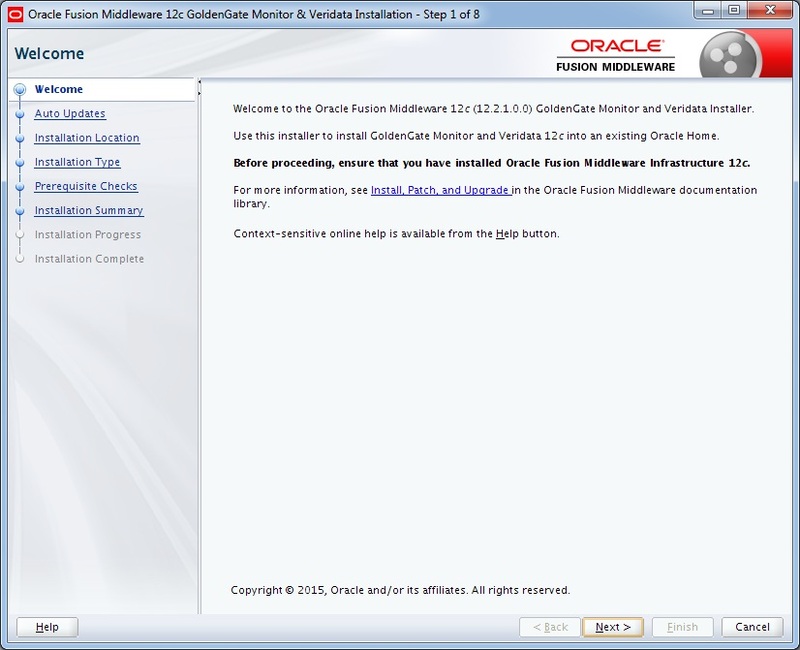 For complete detail of the options used please check the “Oracle GoldenGate Reference Guide”. If you want the output of the Extract file in an XML format then use the below parameter in the Extract process parameter file. if the data will be processed by the Replicat process. Replicat expects the default canonical format. Do not use FORMATXML if FORMATASCII or FORMATSQL is being used. Outputs the full sized XML to the XML file in UTF-8, but does not output headers. The XML header tag and root node are included in the XML output. The root node is output as OracleGoldenGateFormatXML. Regardless of their size, XML stored as CLOB is output in a CDATA section and binary data including BLOB is output to Base64 encoding. Controls whether or not properties are included within the XML tag or written separately. INLINEPROPERTIES is the default. Controls whether or not transaction boundaries and commit timestamps should be included in the XML output. TRANS is the default. Hope this was helpful. Your comments and suggestions are always welcome. Oracle GoldenGate Veridata is a high-speed data-comparison and repair solution that identifies, reports on, and fixes data discrepancies between heterogeneous databases without interrupting ongoing business processes. 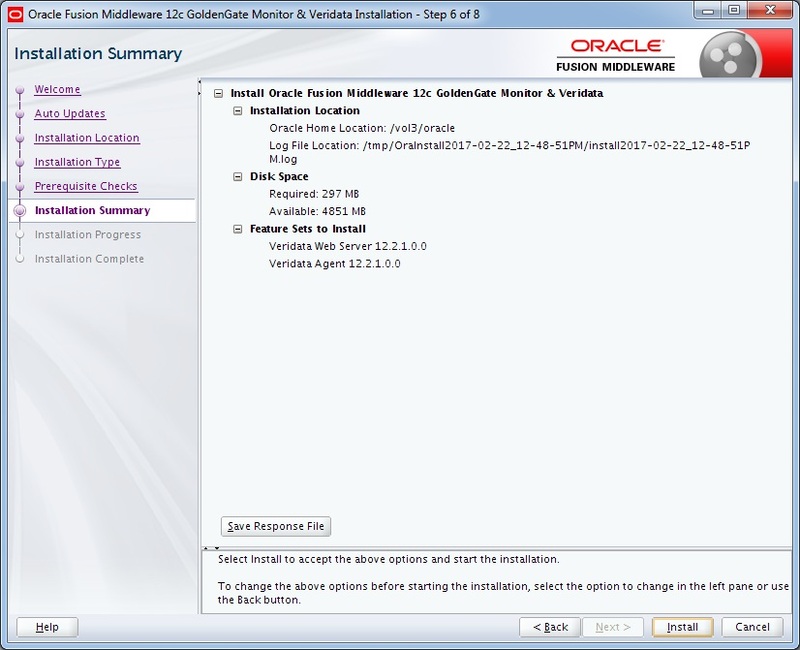 This post explains the step by step installation and configuration of Oracle GoldenGate Veridata 12.2 in Linux. The first and primary point to be considered before installing any Binaries are the Pre-requisites. 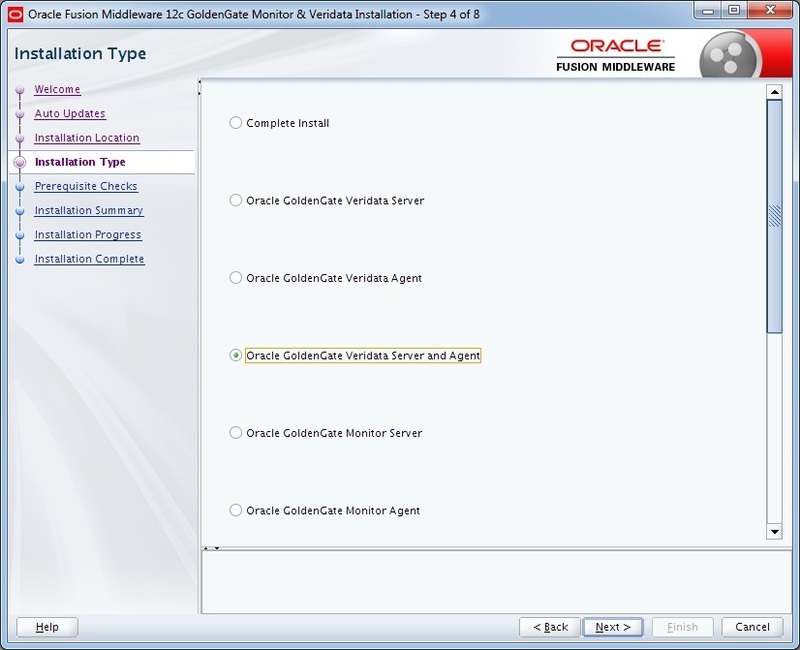 For installing the Oracle GoldenGate Veridata, below are the pre-requisites which needs to be taken care. Certification and System Requirements - Check if the hardware or software configuration supports the product which you are going to install. 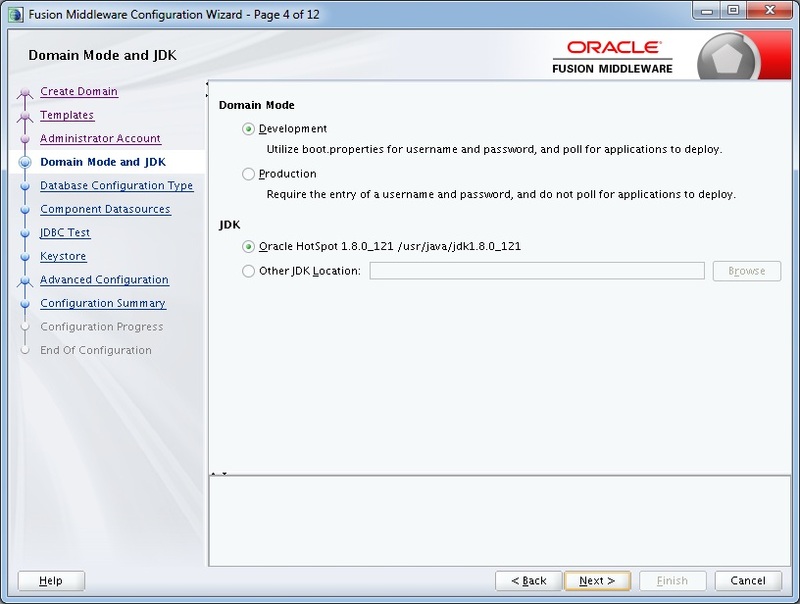 Install JDK on the Target Machine -  A minimum of JDK 1.8.0_101 or higher is required. Install Oracle WebLogic Server - Oracle Fusion Middleware 12.2.1.2.0 Infrastructure installer to install Oracle WebLogic Server and the Oracle Java Required Files (JRF) Infrastructure services. So, now let us go into the Installation part. 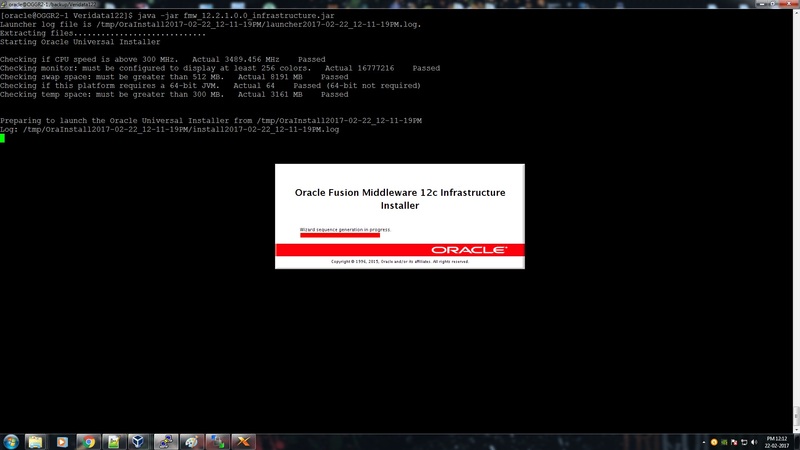 Firstly, we need to install both WebLogic Server (WLS) and the Oracle Fusion Middleware (FMW) Infrastructure. 2. A welcome screen appears. Just click Next button. 3. 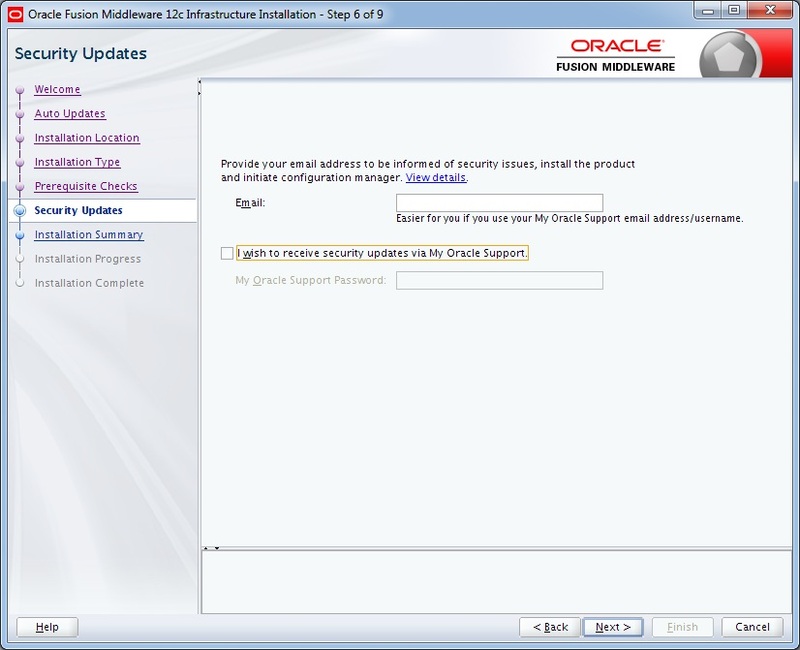 Check the option Skip Auto Updates and proceed. 4. Enter the location for Oracle Home to store the binary files. 5. Select either installation type, with or without examples. Notice at the bottom that WLS is going to be installed. 6. Wait for the progress bar to reach 100%. The minimum Java version that it is looking for is greater than 1.8. 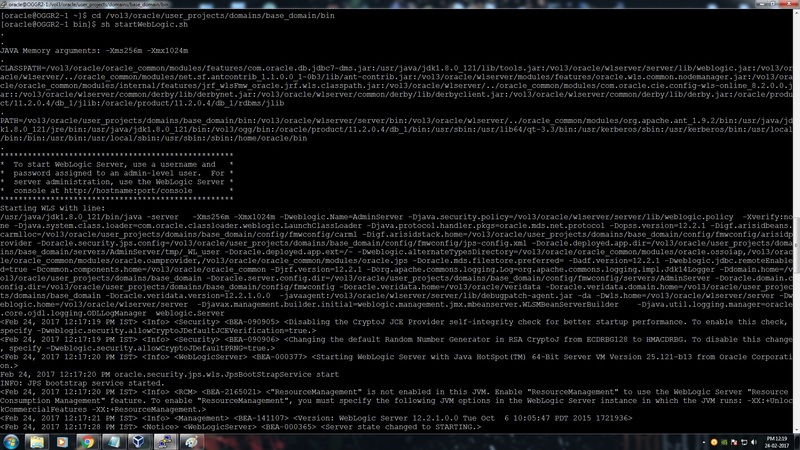 Here, in my installation, it threw a warning and I ignored it as I had already jdk 1.8 installed. 7. If you want to enter your email, you may. Otherwise, accept the warning that it is blank. 8. An Installation summary is displayed. Simply press the Install button below. 9. Wait for the progress bar to reach 100%. You can optionally view the logs. 10. Click the Finish Button. 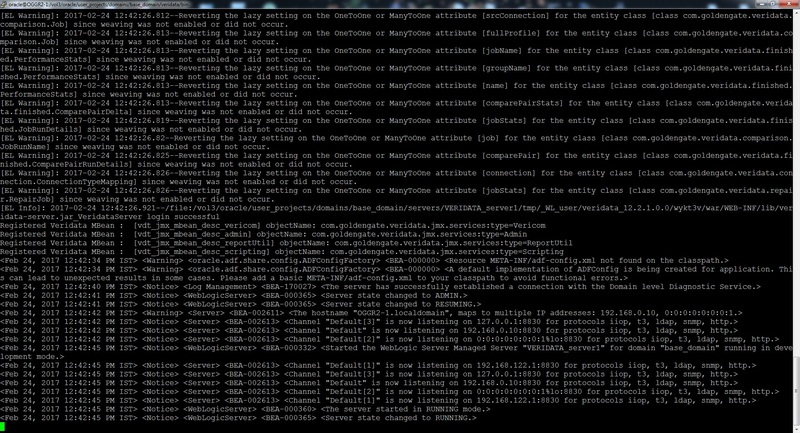 Now we have successfully install the Infrastructure Binaries. 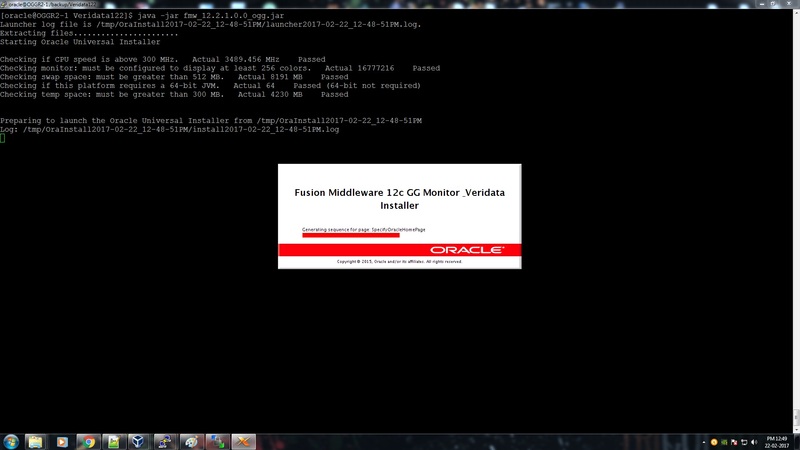 The second step is to install the Oracle GoldenGate Veridata. 2. Oracle GoldenGate Veridata Server separately and Oracle GoldenGate Veridata Agent separately. 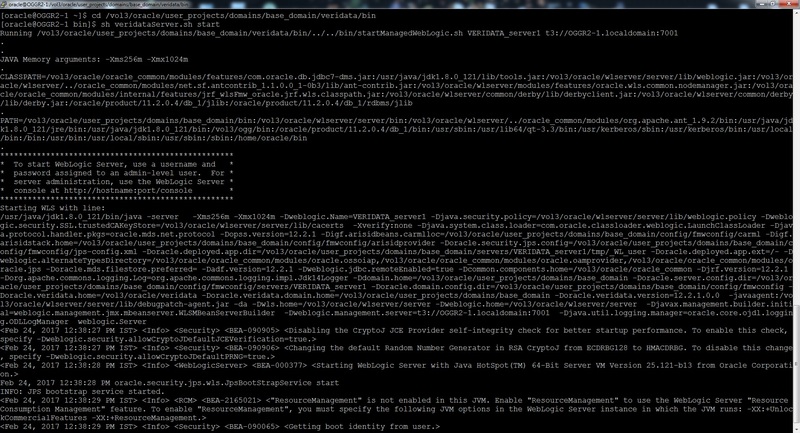 Here I am selecting the “Oracle GoldenGate Veridata Server and Agent” as my installation type. 6. Wait for the progress bar to reach 100%. The minimum Java version JDK 1.8.0_101 or higher is required. 7. A summary page is displayed. Just click Next Button. 8. Wait for the progress bar to reach 100%. You can view the Logs by clicking the “View Log” button in the right bottom of the screen. 9. Installation is complete. Click the Finish button. The beauty in here is, it tells you what is the next step you need to perform. This you can see in the bottom of the “Installation Complete” screen. The Repository Creation Utility (RCU) presumes that you have already installed a compatible database to house the repository. 1. 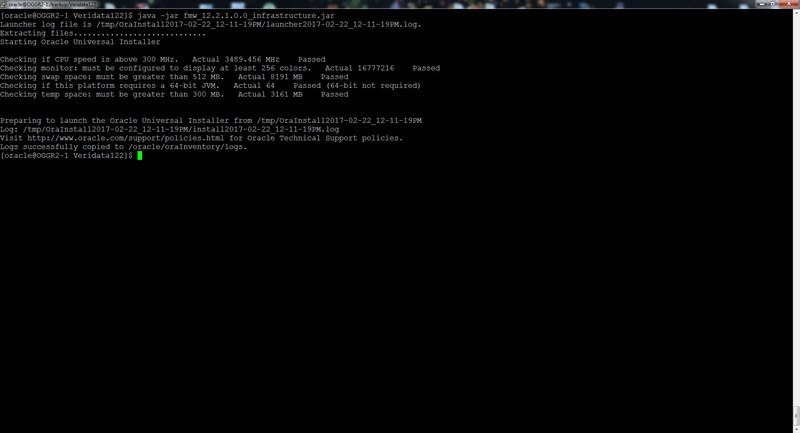 Open a Terminal and Invoke the RCU by issuing the below command. 2. As usual a Welcome Screen appears. Click Next. 4. Enter the appropriate information to log in to your database with full privileges. 5. If this is the first time you have run RCU, then the only option is to create a new prefix. If you have run RCU in the past, then it will increment the new prefix to be one more than the last existing one, for example, DEV2 or DEV3. You can override the suggestion. 6. 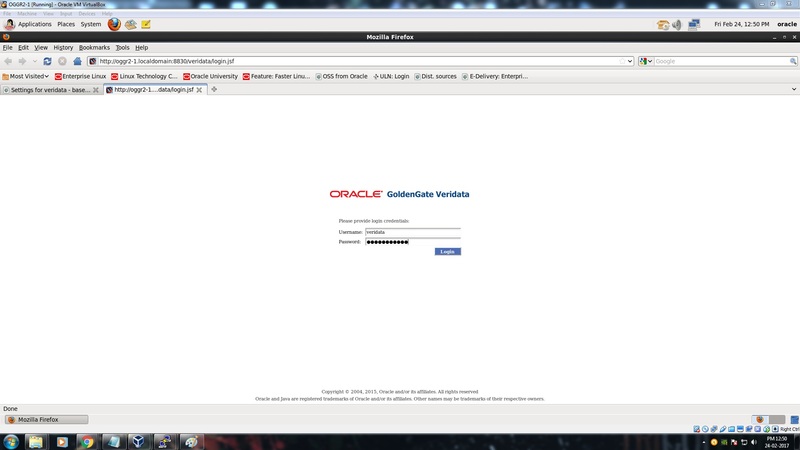 Select Oracle GoldenGate, Veridata Repository. 7. Enter the same password twice. 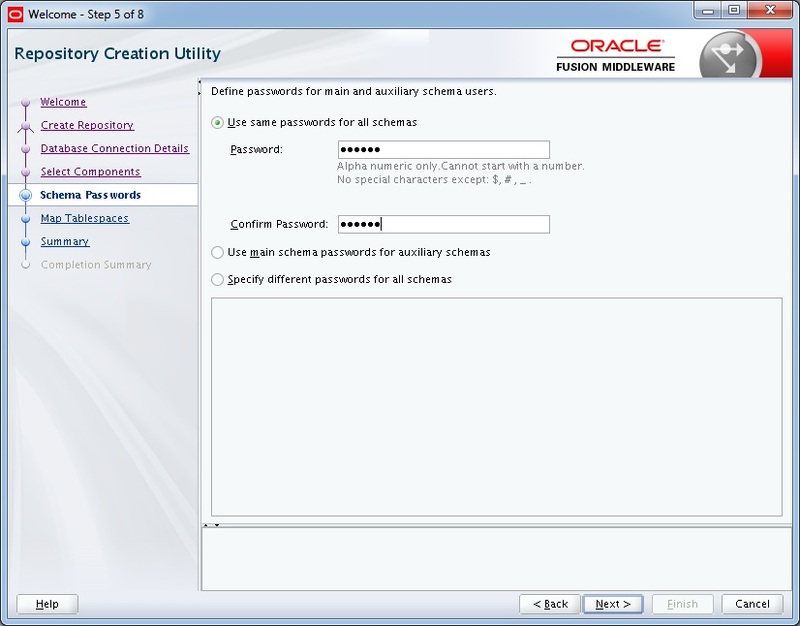 Many of the sample VM databases use oracle (all lower case) as the default password for all schemas. 8. The respective Tablespaces will be created. Accept the default tablespace allocations. 9. A Summary Page will be displayed. Simply click on the Create button. 10. 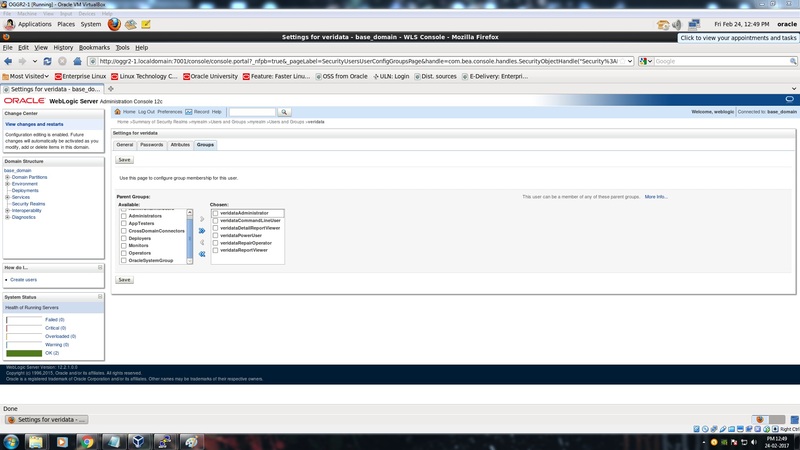 The Repository is created and you can see the details in the screen. 11. Click on the rcu.log to check the logs else you can click the Close button. 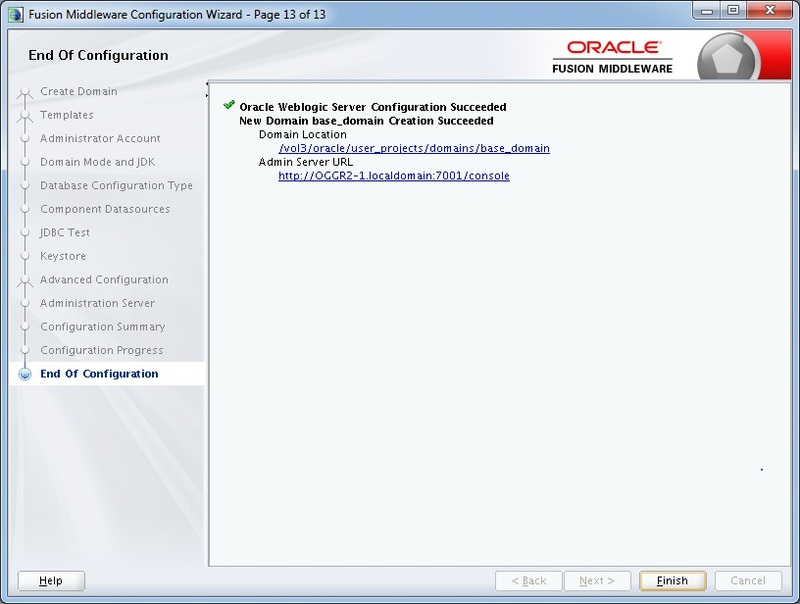 The Configuration Wizard can either create a new domain or extend an existing domain. Here, I am creating a new Domain. 2. It will ask whether you need to create a new domain or extend an existing one. Select the 1st option “Create a new domain”. Provide the domain location and click on Next button. 3. 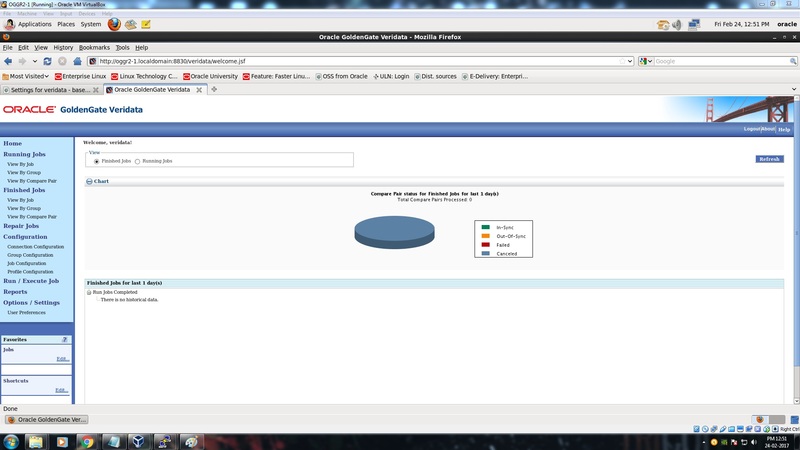 Check if the Basic WebLogic Server Domain is pre-selected and then select Veridata Standard Server Domain. This will cause additional options to be selected automatically. 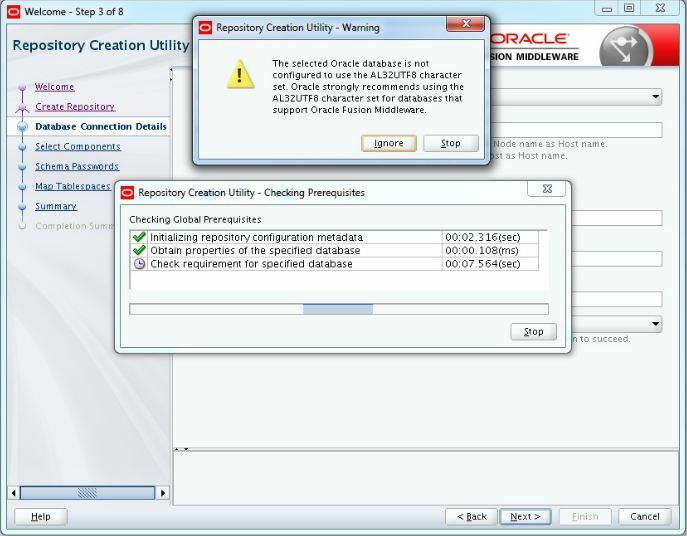 If Oracle JRF is not auto-selected, then you did not install the Infrastructure correctly. Click on Next to continue. 4. Enter the same password twice for the WebLogic Administrator Account. Complexity rules require a number or special character in the password. Click on Next to continue. 5. If you plan to use localhost/127.0.0.1 as the host name/address, you must select Development. In production you would not use localhost, but would use the real host name/address. Click on Next to continue. 6. Fill in the Service, Host Name, Port, Schema, and Password. 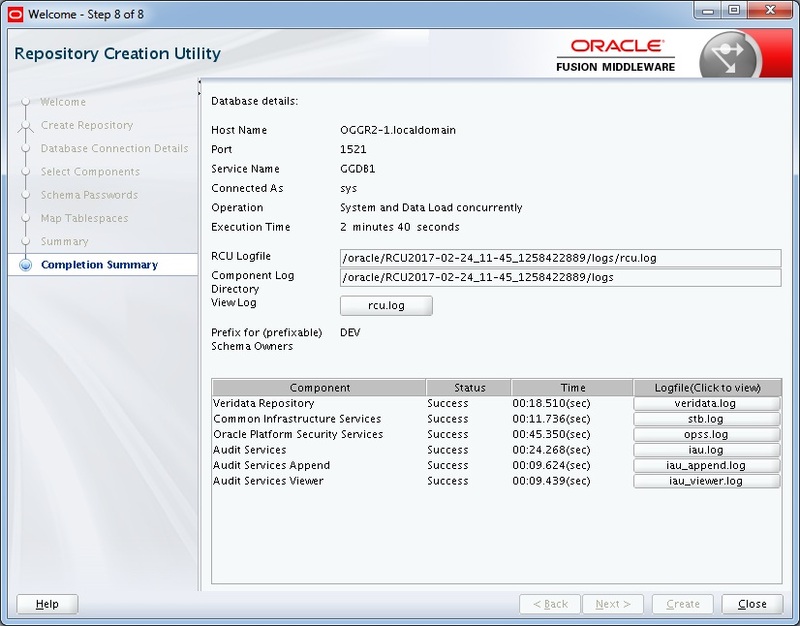 Click Get RCU Configuration to continue. 7. You must receive the message “Successfully Done.” Click Next to continue. 8. Verify that the host names and passwords are all filled in. Click on Next. 9. 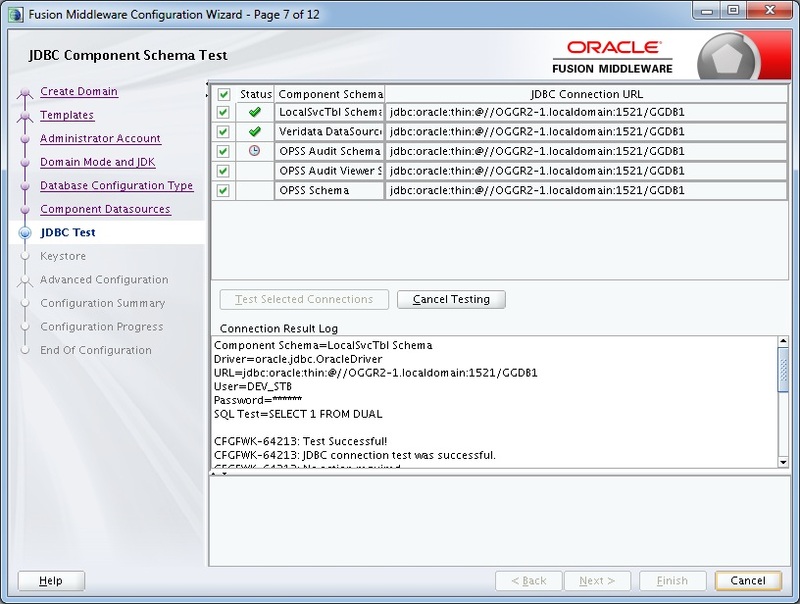 The “Test Selected Connections” happens automatically. Looking in the result log, make sure all six are successful. Click on the Next Button. 10. Enter the Password and Click on the Next button. 11. Select the Administration Server and click the Next button to continue. 12. Provide the port details and click on Next to continue. 13. 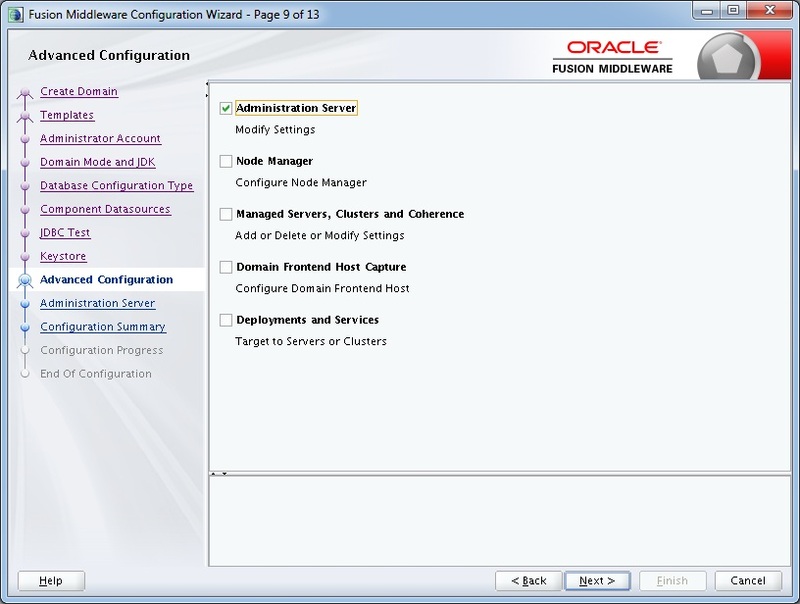 You will see the Configuration Summary page. Just click the Create button. 14. When the progress bar reaches 100%, it should say, “Domain Created Successfully!”. Click the Next to continue. 15. 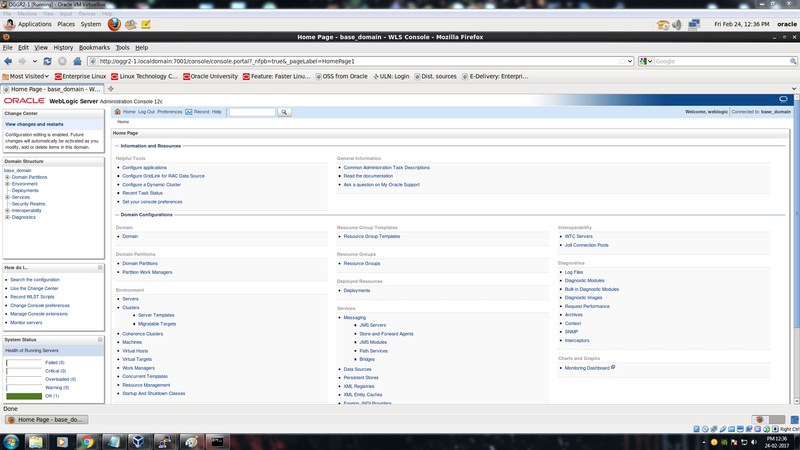 Note the URLs to use from a web browser to reach the WebLogic Administration Console. Often there are two: an http URL which is insecure, and an https URL which uses SSL for increased security. Click on the Finish button. 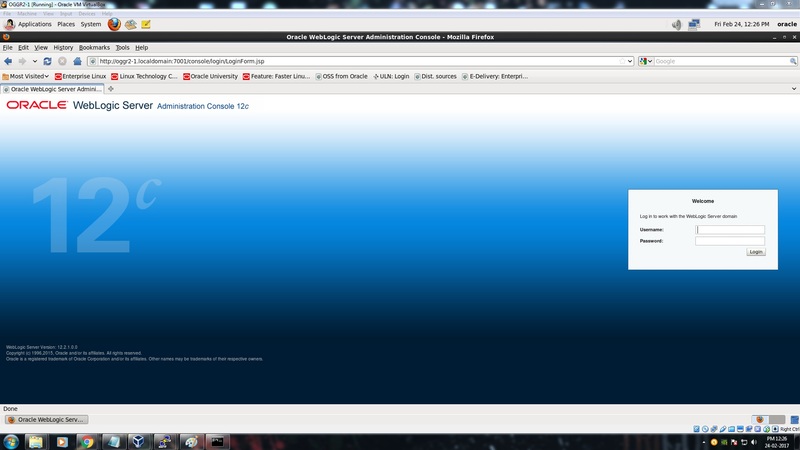 Start the WebLogic Server by issuing the below command. Enter the username and password. Click the Login button. You will be entered into the WebLogic Server. Provide the username and password. You could see the below message in the screen. Now we need to create a user for accessing the Veridata GUI. Navigate to the below page. 2. Create the new user. Enter the username and password. Click OK button. 3. You could see the message “User created successfully” and the user will be displayed in the list. 5. Click on the Save button. You could see the message “Settings updated successfully”. 1. Deploy the Agent as below. You will see the message as “Successfully deployed the agent”. 2. Start the Agent as below. 2a. 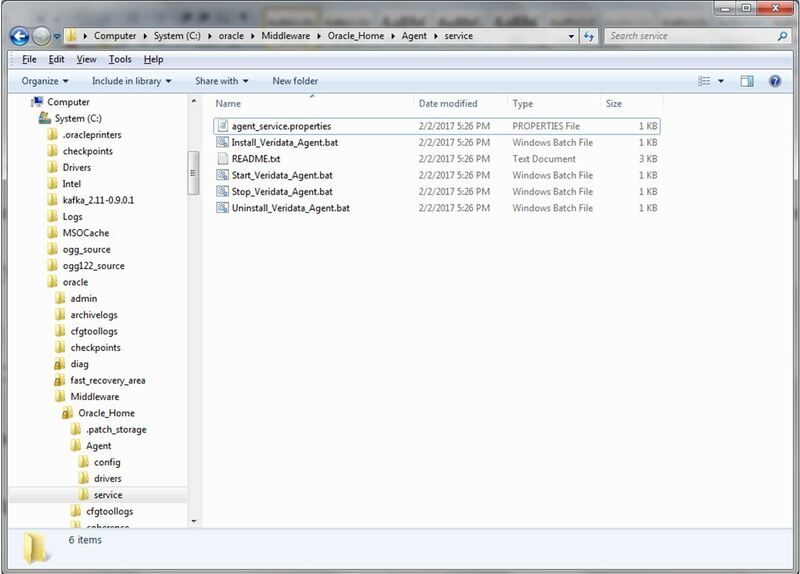 Under the Agent Home where you deployed the Agent, there will be a file named as “agent.properties.sample”. Take a backup of this and rename it as “agent.properties”. 2b. 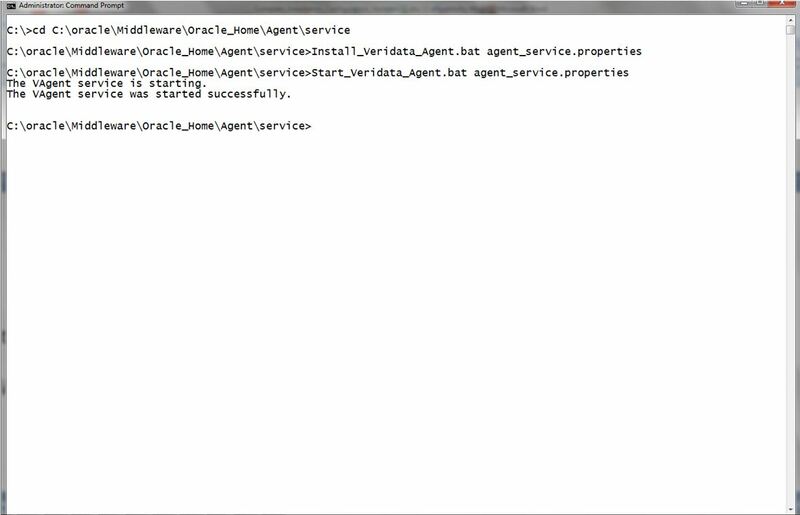 Edit the “agent.properties” file and give the port and jdbc url as below. 2c. Start the Agent as below. Navigate to the Agent Home and issue the below command. When installing in Windows, there is a slight change in starting the Agent after deploying it. You need to create the Agent as a service in Windows. I had already performed the installation in Windows and this is how it should be done. 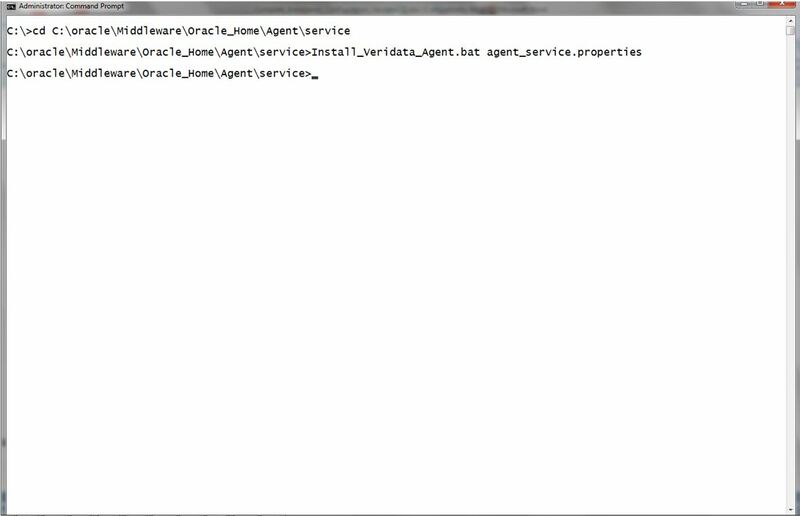 Go to the below location and edit the agent_services.properties file. Install the Agent as below. Now start the Veridata Agent using the below command. Hope you enjoyed this article. Your comments and suggestions are always welcome. 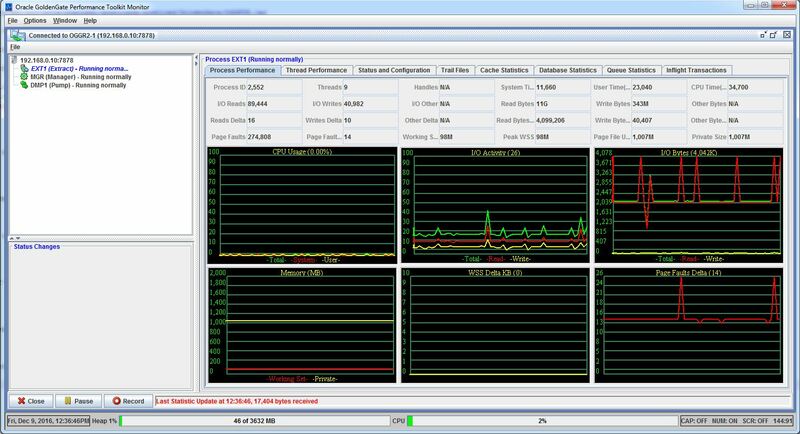 One of the features which I like most and released in Oracle GoldenGate 12.2 is the Oracle GoldenGate Performance Toolkit Monitor. 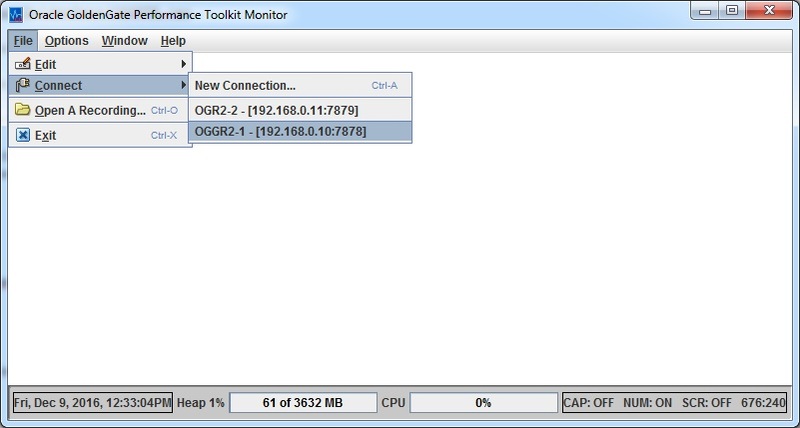 This is a monitoring tool with Graphical User Interface programmed in JAVA. I had downloaded and copied the OGGPTK.jar file in the J:\OGGPTK.jar, This is my host machine where I had installed Virtual Box and have two Virtual Machines as mentioned above. The two virtual machines are already started and all the Oracle GoldenGate processes like Extract, Pump and Replicat are running currently. 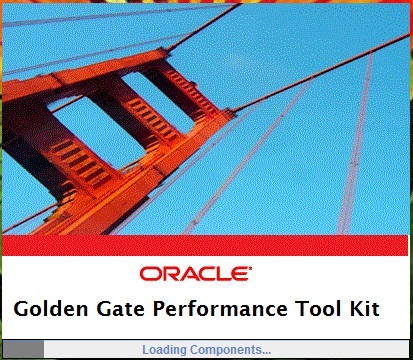 Oracle GoldenGate Performance Tool Kit window will be opened. Hostname of the Oracle GoldenGate instance and the Port of the Manager process running in that respective instance must be given as below. Save the configuration. The same kind of information we can see for the other Oracle GoldenGate processes in the instances too..
Oracle GoldenGate Extended Metrics provides the real-time insight of the Oracle GoldenGate processes Extract, Extract Pump and Replicat. This can be accessed through the RESTful Web Interface. 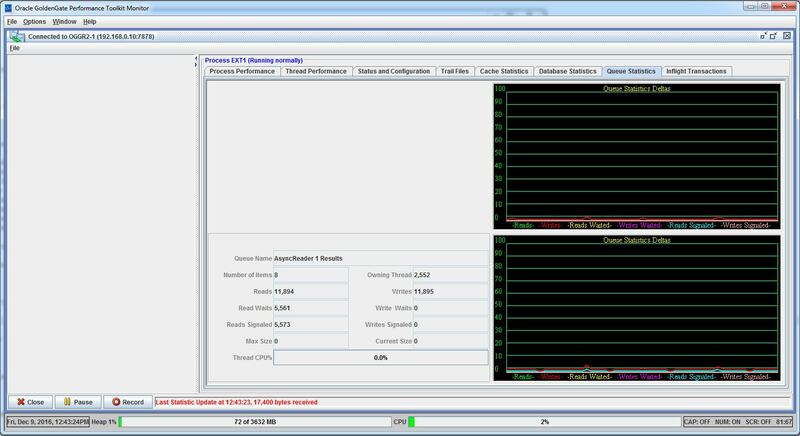 This is an excellent tool to monitor the progress and performance of the Oracle GoldenGate processes. Oracle GoldenGate offers different types of Initial Loads. 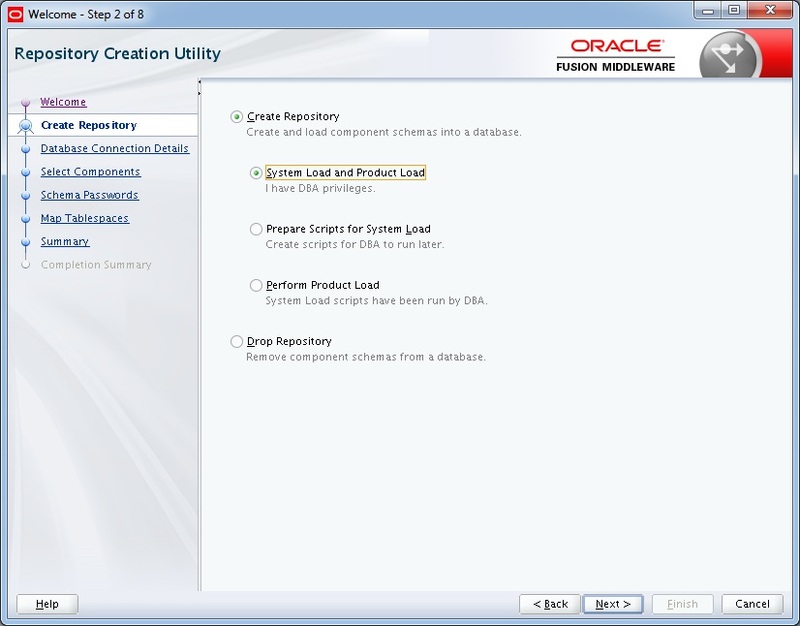 In this article, we are going to see about Performing Initial Load with Oracle DataPump Utility (Expdp/Impdp). The below are the basic steps to perform the Initial Load using the Oracle DATAPUMP (Expdp/Impdp). 1. Create the necessary tables (only structures) on the Target side. 2. Start the Change Synchronization Capture / Online Extract process. 3. Start the Datapump Process. 5. 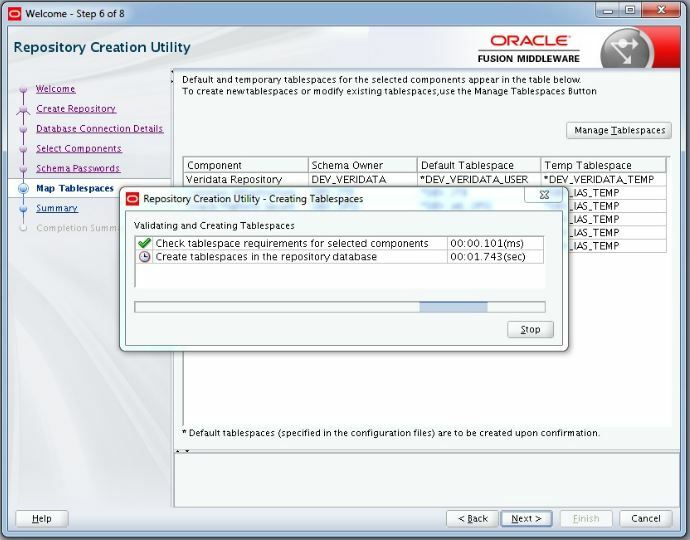 Export the table from Source with the following parameter in the EXPDP flashback_scn=. 6. Import the table dump in the Target. So many steps to be followed to do the Initial Load using Expdp/Impdp. Here the SCN plays a vital role to maintain the Data Integrity. 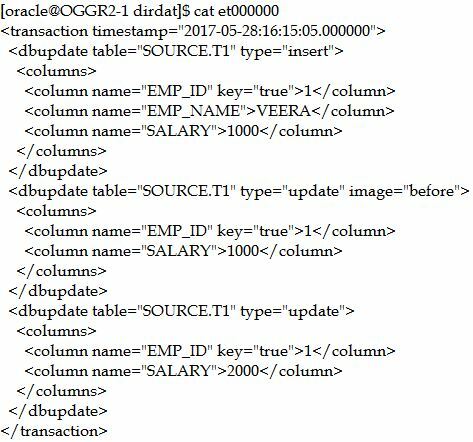 From Oracle GoldenGate 12.2, this method of Initial Load using DATAPUMP utility has been made in more simpler way. You don’t want to note down the SCN and this will be taken care automatically when executing the ADD SCHEMATRANDATA or ADD TRANDATA command with the optional parameter PREPARECSN at the Oracle GoldenGate level. When you use this parameter PREPARECSN when adding the trandata, it automatically prepares the SCN for that particular table or schema and the SCN part is automatically takencare. There is no requirement of noting down the SCN (FLASHBACK_SCN) over here. WAIT - Wait for any in-flight transactions and prepare table instantiation. LOCK - Put a lock on the table (to prepare for table instantiation). NOWAIT - Default behavior, preparing for instantiation is done immediately. NONE - No instantiation preparation occurs. 2. Eliminates need for HANDLE_COLLISIONS or specification of individual MAP for each imported table with the @FILTER(@GETENV(‘TRANSACTION’,‘CSN’) clause. Let us see below in detail on how this feature works. At the OGG level, I am executing the ADD SCHEMATRANDATA with the PREPARECSN option. 2016-09-30 12:02:18 INFO OGG-01788 SCHEMATRANDATA has been added on schema VEERA. 2016-09-30 12:02:18 INFO OGG-01976 SCHEMATRANDATA for scheduling columns has been added on schema VEERA. 2016-09-30 12:02:18 INFO OGG-10154 Schema level PREPARECSN set to mode NOWAIT on schema VEERA. 2016-09-30 12:02:43 INFO OGG-06480 Schema level supplemental logging, excluding non-validated keys, is enabled on schema VEERA. 2016-09-30 12:02:43 INFO OGG-01980 Schema level supplemental logging is enabled on schema VEERA for all scheduling columns. 2016-09-30 12:02:43 INFO OGG-10462 Schema VEERA have 1 prepared tables for instantiation. In the above output, you can clearly see the message Schema VEERA has been prepared for instantiation. Already the Manager process was started and now I have started the Extract and Pump processes. Now, let us take an export of the schema VEERA. Here we do not need to mention any SCN (FLASHBACK_SCN) for taking an Export. FLASHBACK automatically enabled to preserve database integrity. The Export (Expdp) has completed successfully. But during the course of the Expdp, I had inserted more rows in to the table VEERA.TEST and these rows are not captured in the export dump. The count before exporting and the count in the Expdp is same 88803. Since I had inserted more rows, the current count of the table is 177606. So, 88803 rows are imported to the table VEERA.TEST at the Target side. The rows which are inserted during the Export at the source are not come here. Start the Replicat process REP1. The Replicat process REP1 has started and it is in RUNNING state. Below is the report file of the Replicat process REP1. 2016-09-30 12:37:34 INFO OGG-02243 Opened trail file /ogg/dirdat/ft000000004 at 2016-09-30 12:37:34.103888. 2016-09-30 12:37:34 INFO OGG-03522 Setting session time zone to source database time zone 'GMT'. 2016-09-30 12:37:34 INFO OGG-03506 The source database character set, as determined from the trail file, is we8mswin1252. Processed extract process graceful restart record at seq 4, rba 1459. 2016-09-30 12:37:34 INFO OGG-06505 MAP resolved (entry veera.test): MAP "VEERA". "TEST", TARGET veera.test. 2016-09-30 12:37:36 WARNING OGG-06439 No unique key is defined for table TEST. All viable columns will be used to represent the key, but may not guarantee uniqueness. KEYCOLS may be used to define the key. 2016-09-30 12:37:36 INFO OGG-02756 The definition for table VEERA.TEST is obtained from the trail file. LAST_DDL_TIME, TIMESTAMP, STATUS, TEMPORARY, GENERATED, SECONDARY, NAMESPACE, EDITION_NAME. 2016-09-30 12:37:36 INFO OGG-10155 Instantiation CSN filtering is enabled on table VEERA.TEST at CSN 2,972,839. 2016-09-30 12:37:36 INFO OGG-06510 Using the following key columns for target table VEERA.TEST: OWNER, OBJECT_NAME, SUBOBJECT_NAME, OBJECT_ID, DATA_OBJECT_ID, OBJECT_TYPE, CREATED, LAST_DDL_TIME, TIMESTAMP, STATUS, TEMPORARY, GENERATED, SECONDARY, NAMESPACE, EDITION_NAME. Check the count of the table VEERA.TEST at the target side and it is in sync now. Hope the article was much helpful. Will see another new feature of Oracle GoldenGate 12.2 in the next article. 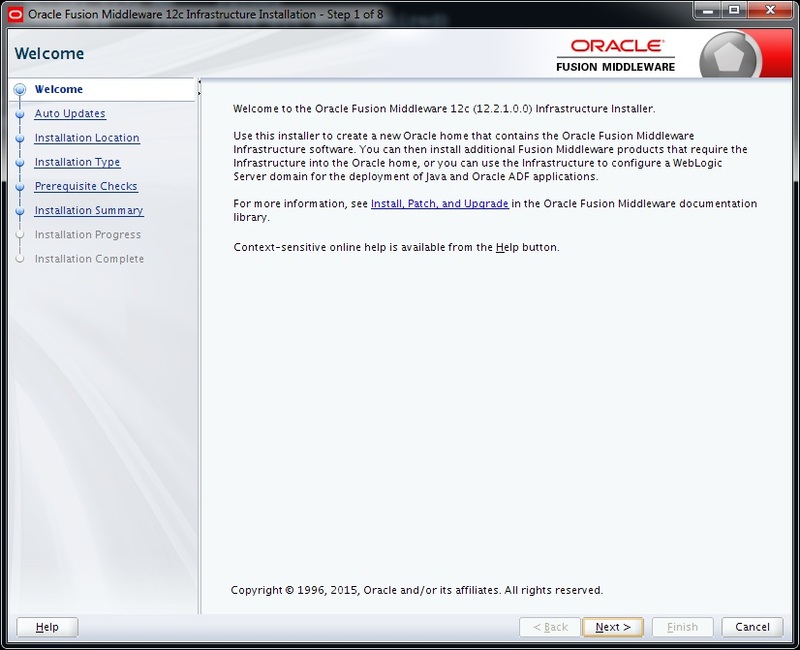 Hope you would have enjoyed installing the Oracle GoldenGate Studio in my last post. 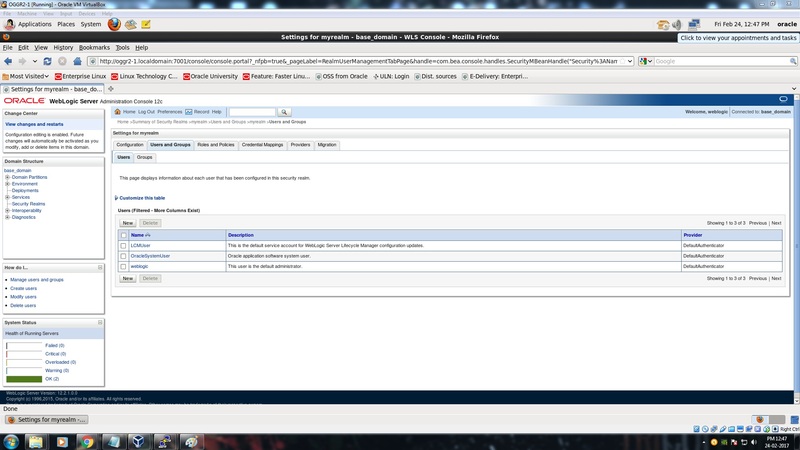 So the next step is to create a Repository for Oracle GoldenGate Studio. A Repository database is needed for the Oracle GoldenGate Studio to store all the information of the architecture and mappings. 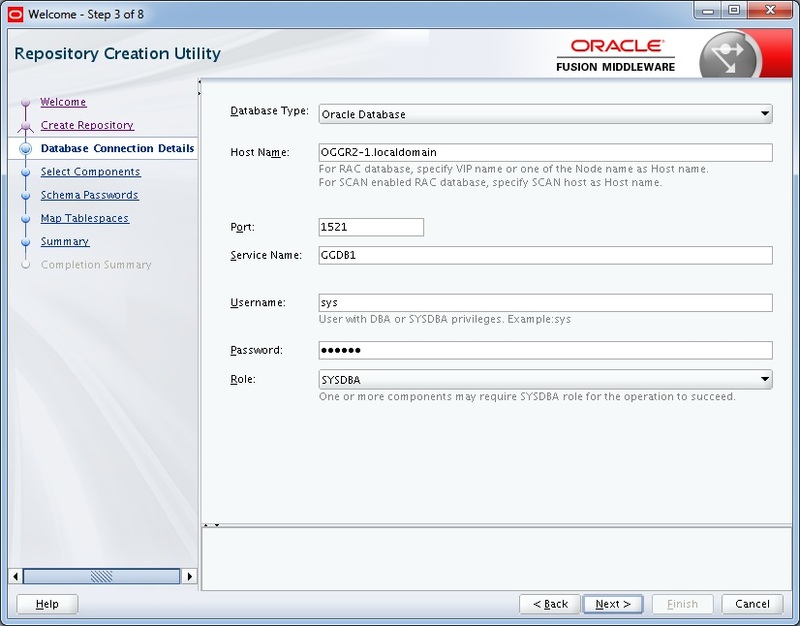 To create the repository, Oracle GoldenGate studio provides us with REPOSITORY CREATION UTILITY (RCU). We need to run this to create the Repository. Now, let get in to on How to create the Repository. 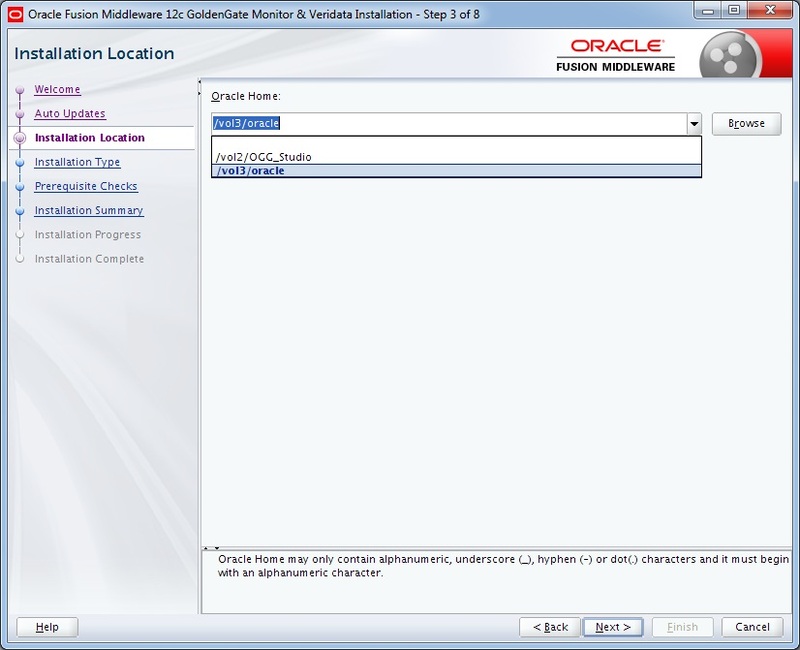 What is Oracle GoldenGate Studio? Oracle GoldenGate Studio is a Graphical based designing tool for Oracle GoldenGate which enables deploying High volumes of data with real time replication by automatically handling table and column mappings. It also has a drag and drop feature of custom mappings. 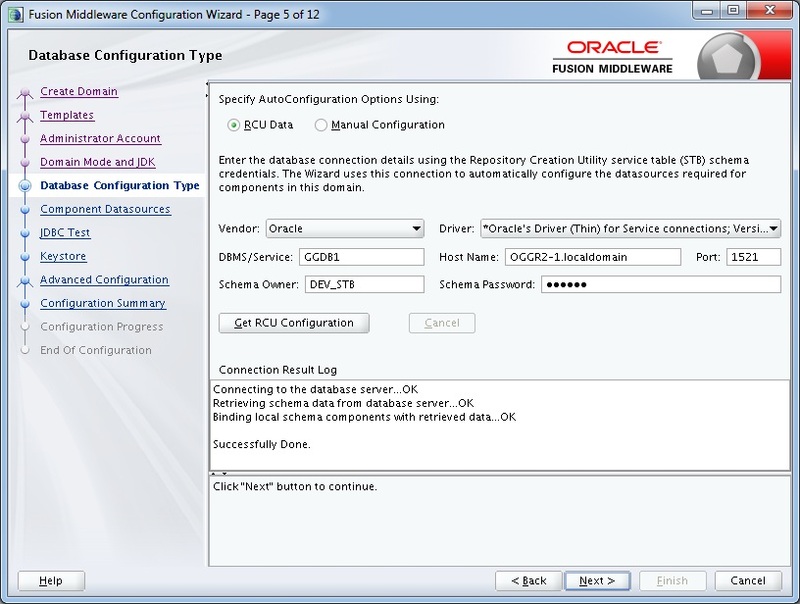 So Oracle GoldenGate Studio allows the new users to Oracle GoldenGate start configuring and replicating data in a ease manner with less effort. No worries about the experienced users, since they are offered with the Advanced Replication Options with Oracle GoldenGate Studio. Knowledge Sharing is my passion. When you get, give. When you Know, Share. When we Give and Share, we get and acquire more. Oracle is an Ocean and I share a drop of my knowledge through this simple site. Which Mode of Capture is Best in Oracle GoldenGate? ORACLE-SCN © 2017. All Rights Reserved.